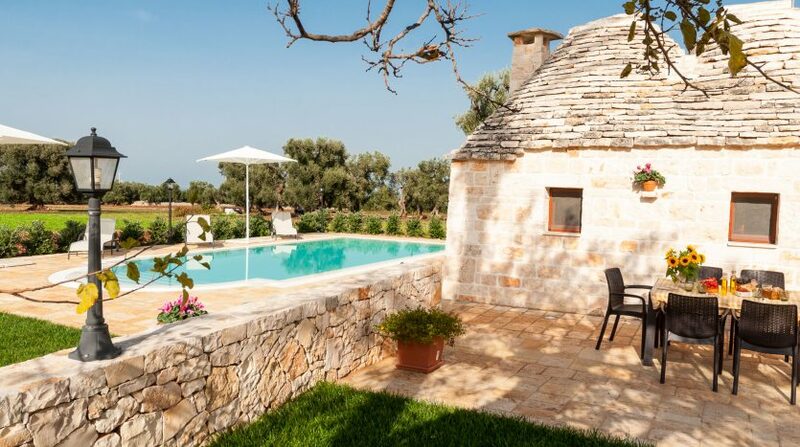 An authentic Trulli with pool at Monopoli – enjoy your holiday in the most typical Apulian fashion. 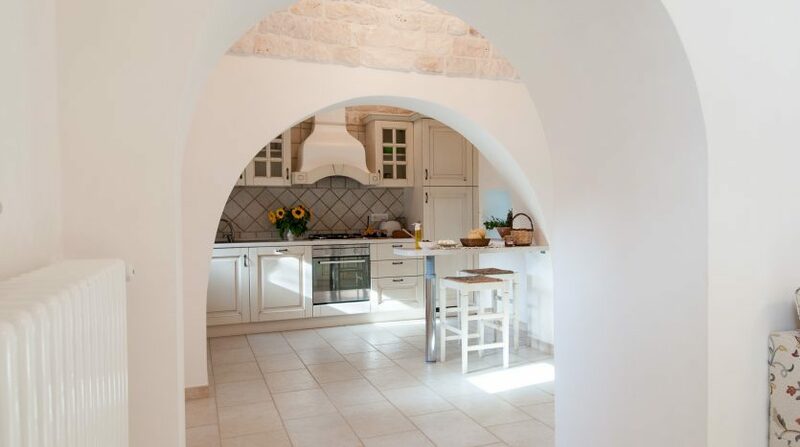 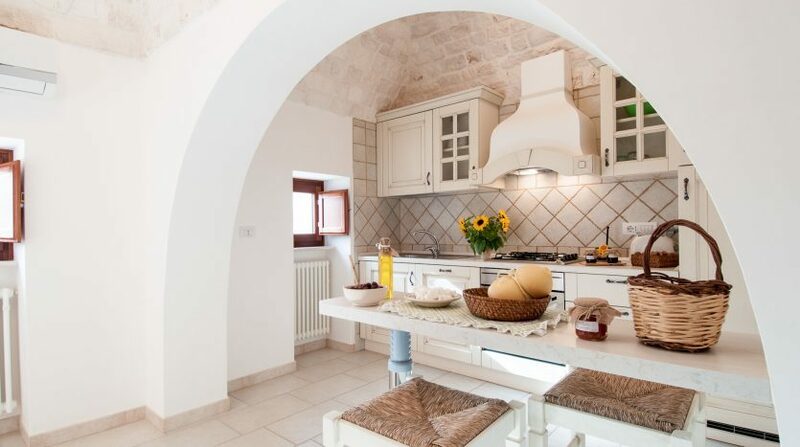 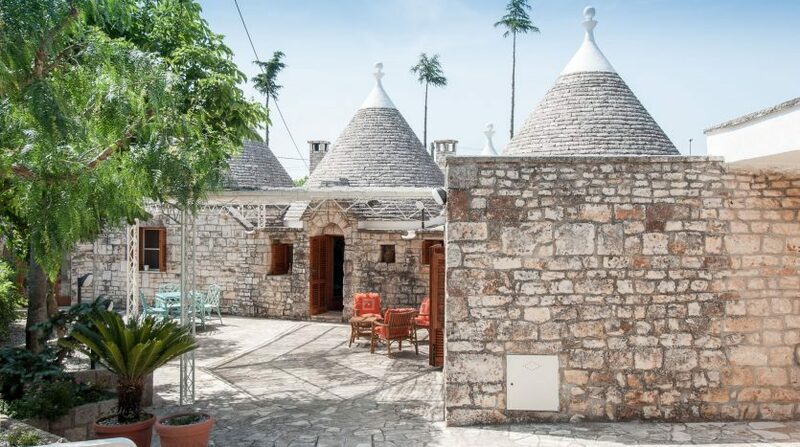 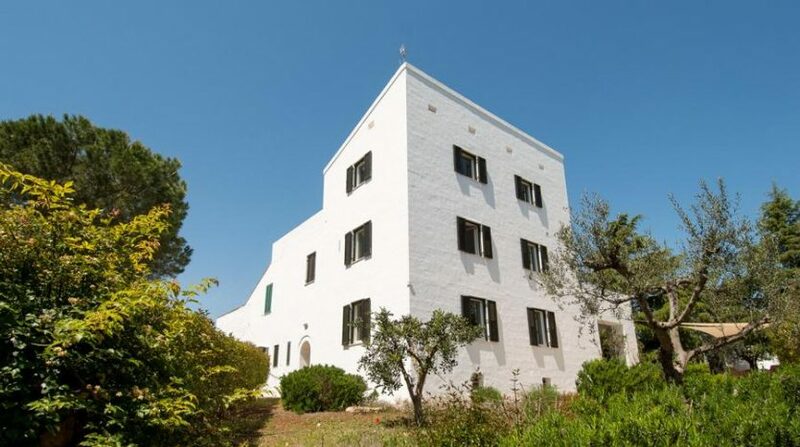 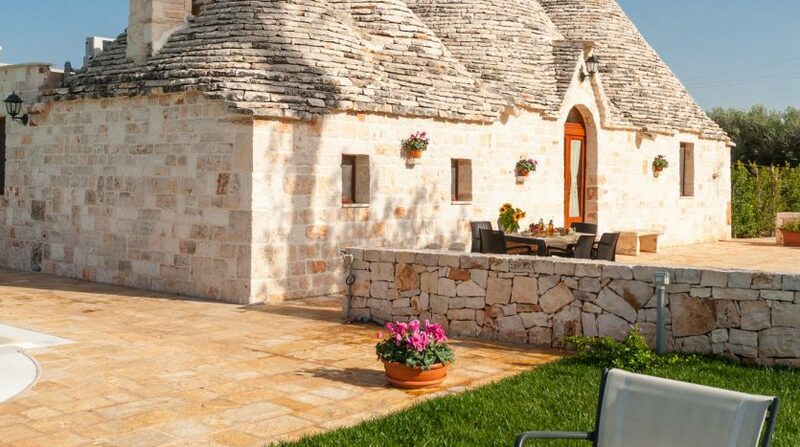 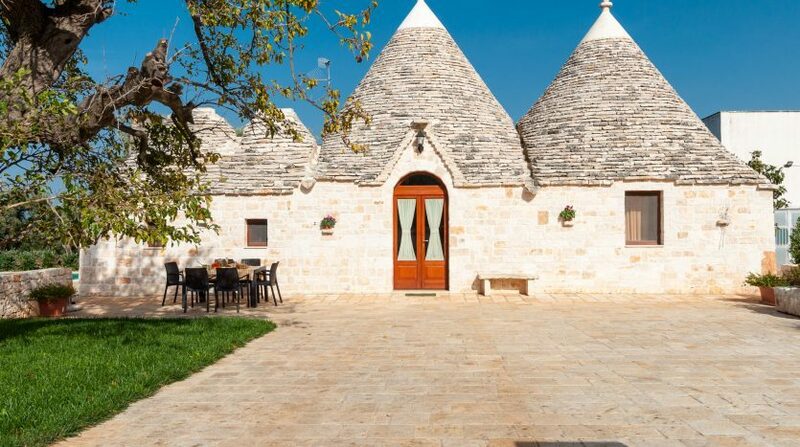 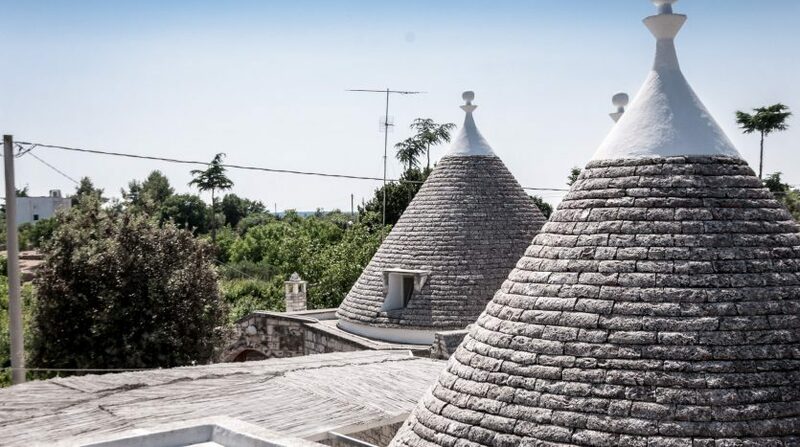 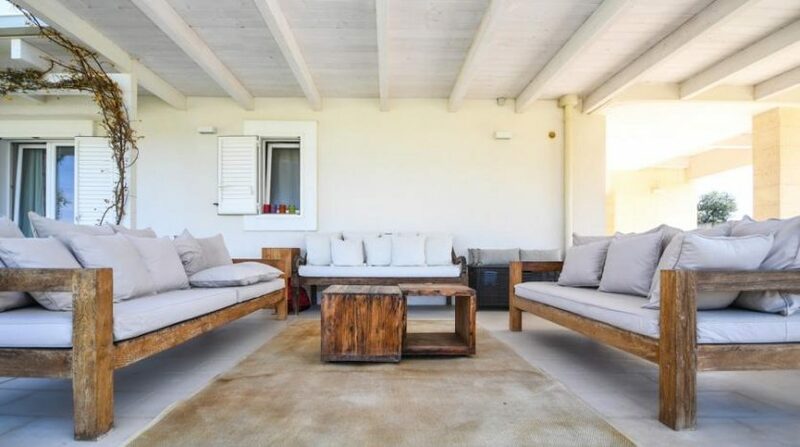 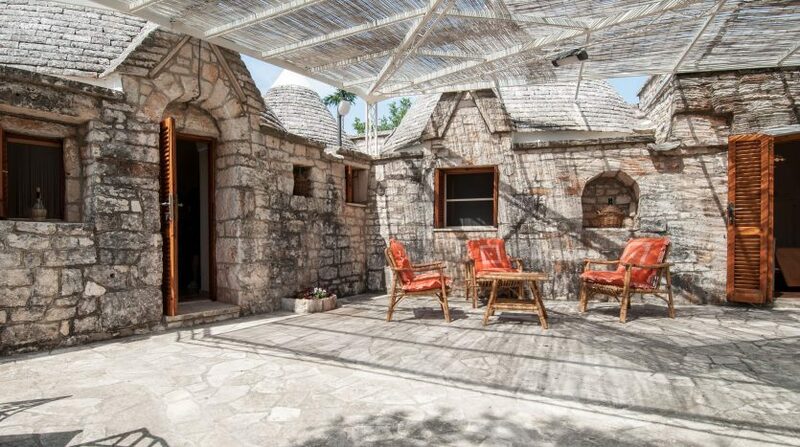 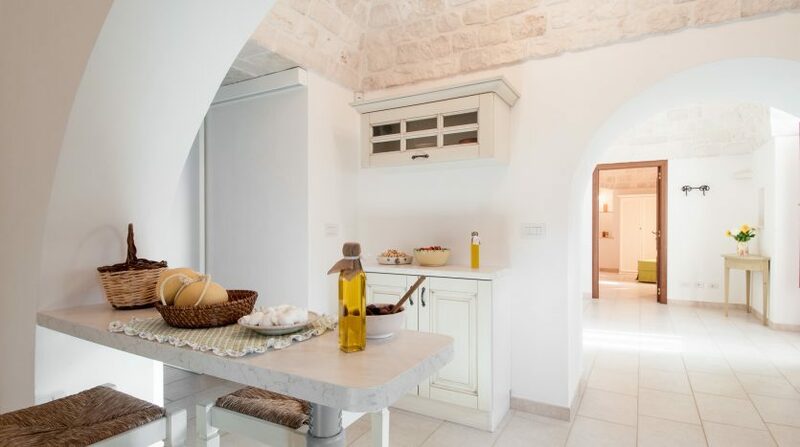 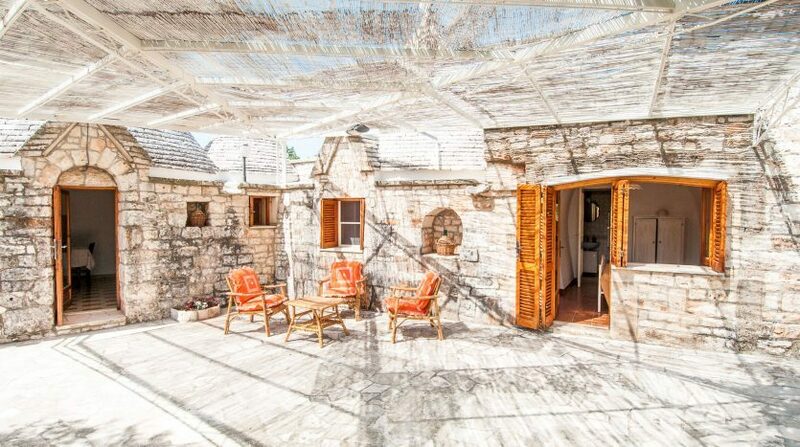 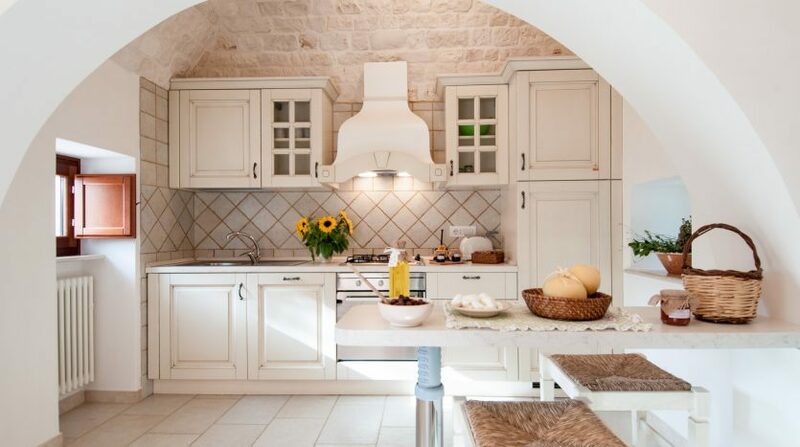 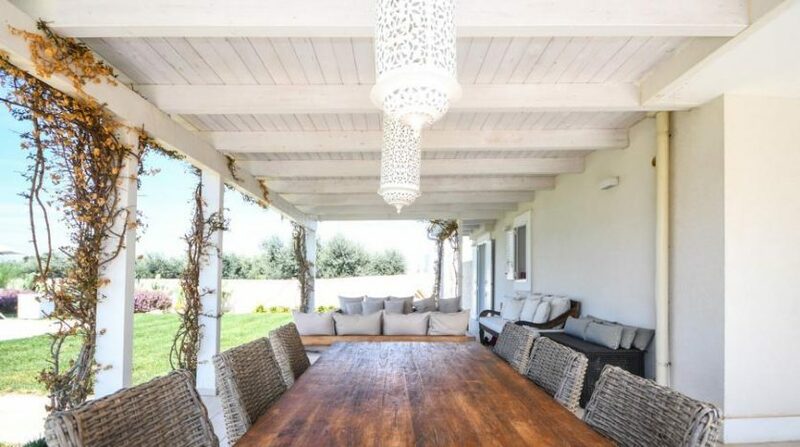 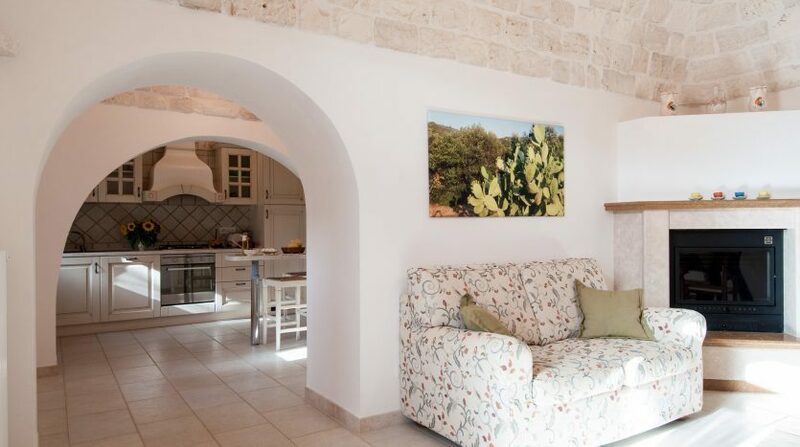 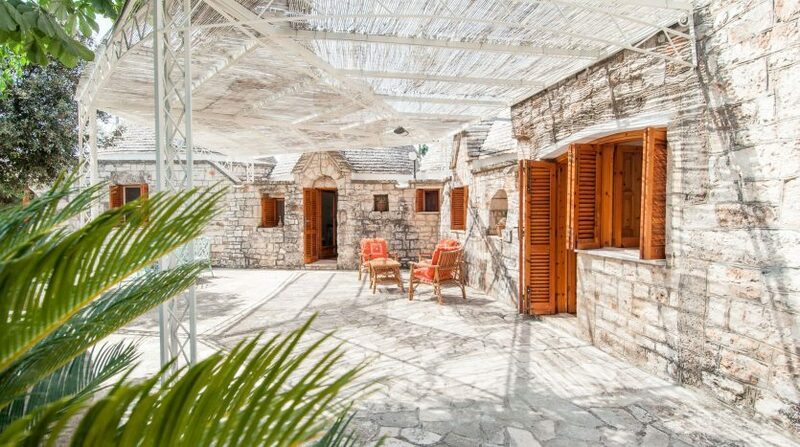 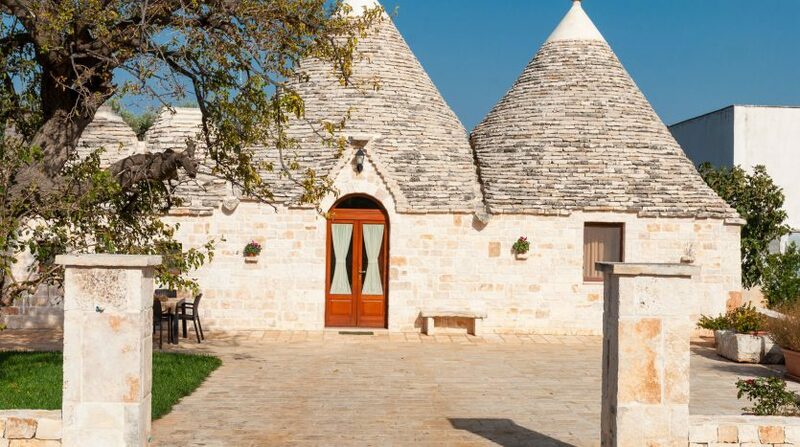 Only 5 minutes from the white beaches of Monopoli, the Trulli Francisto is a splendid example of an ancient farmhouse recently restored with the typical limestone of Apulia. 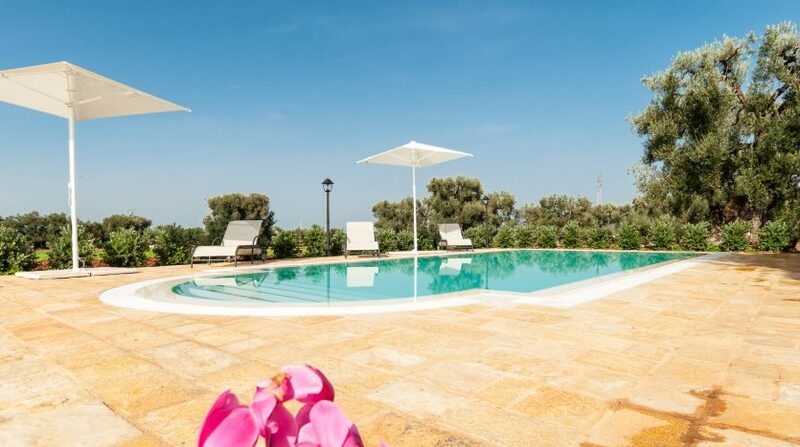 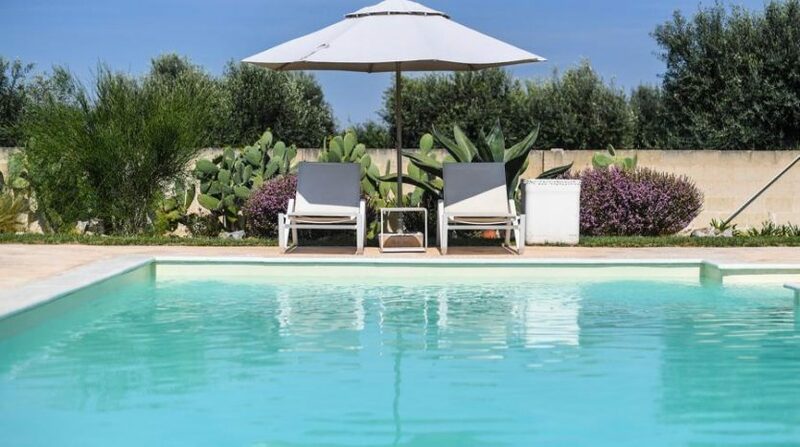 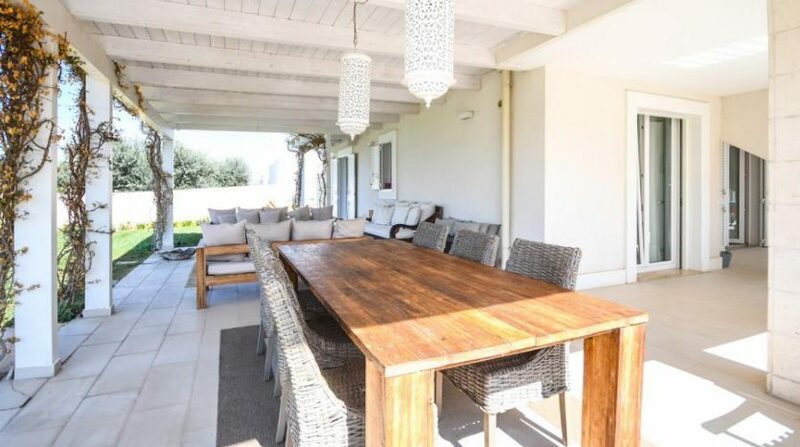 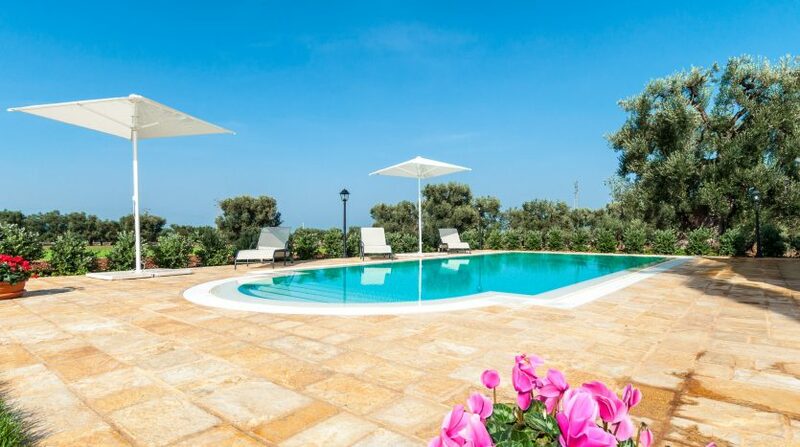 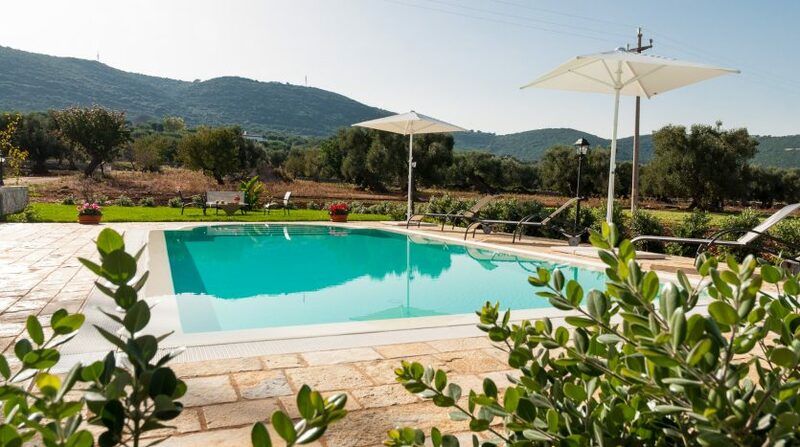 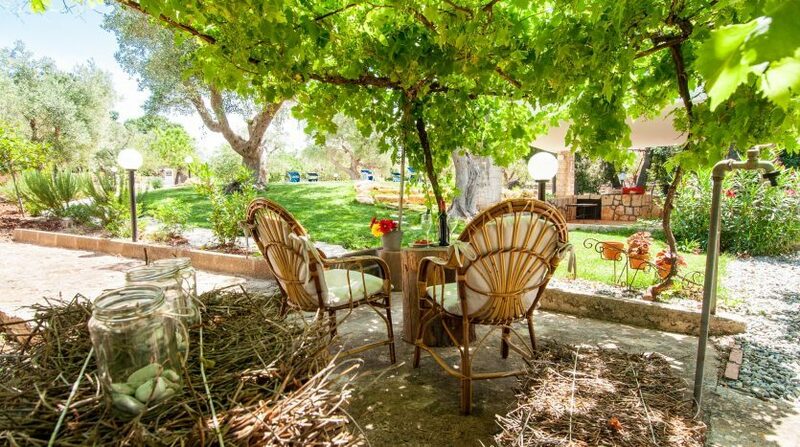 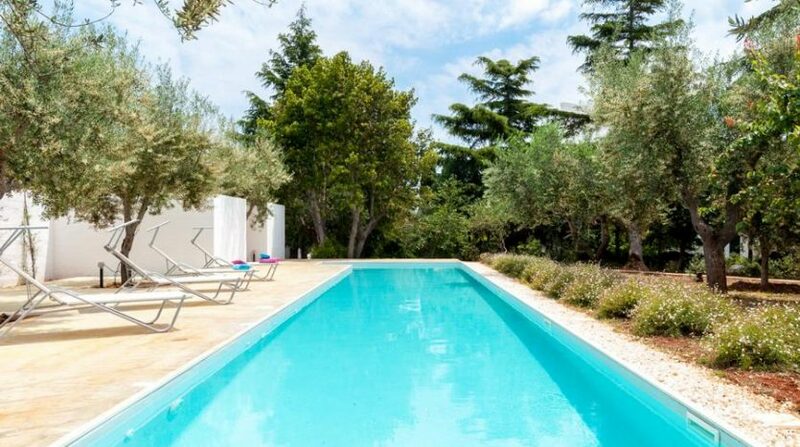 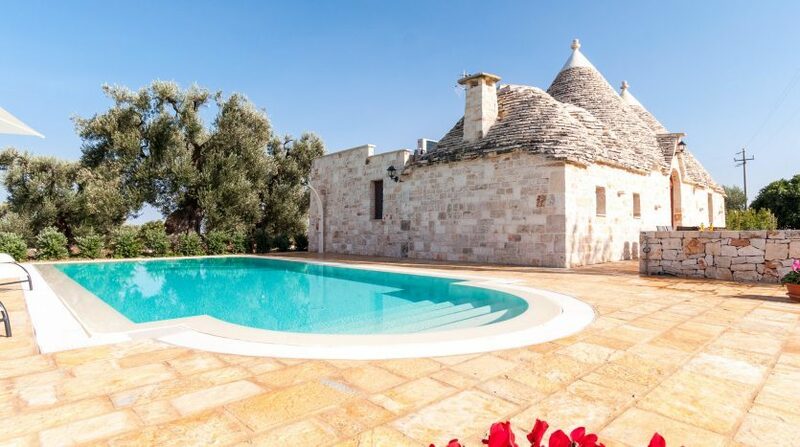 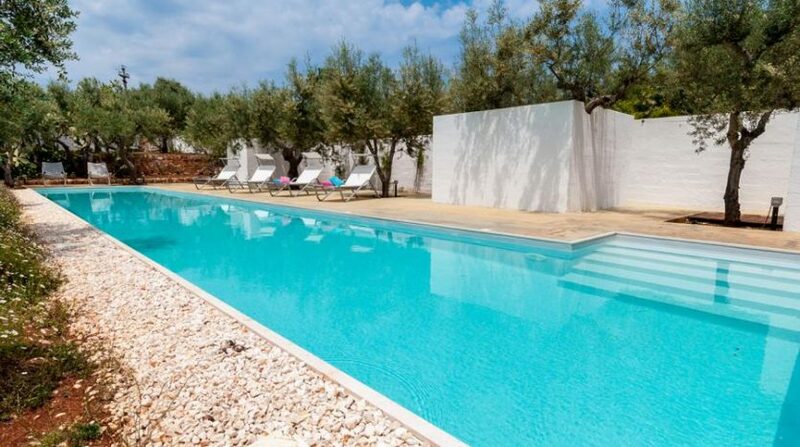 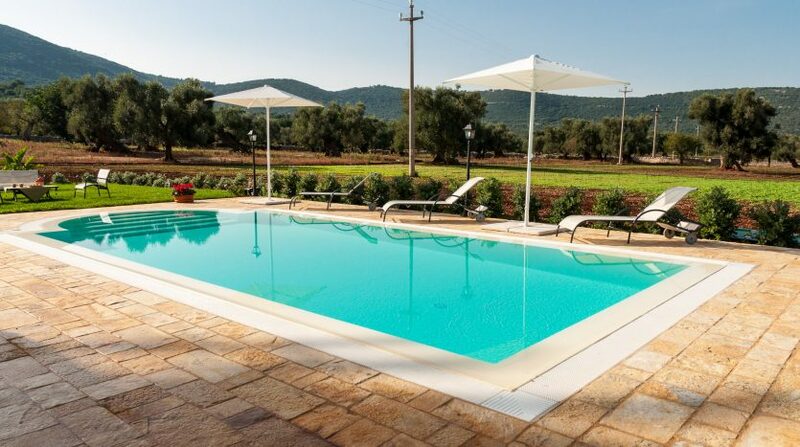 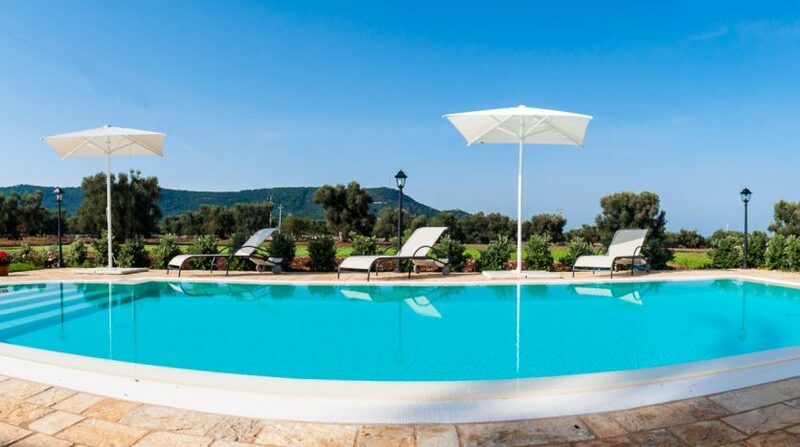 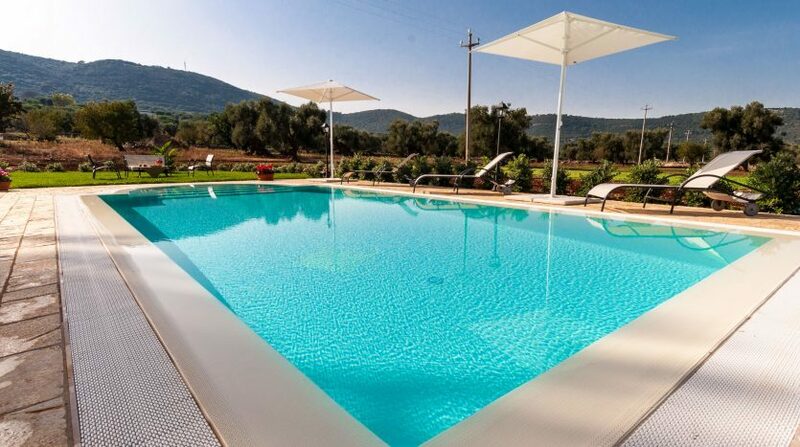 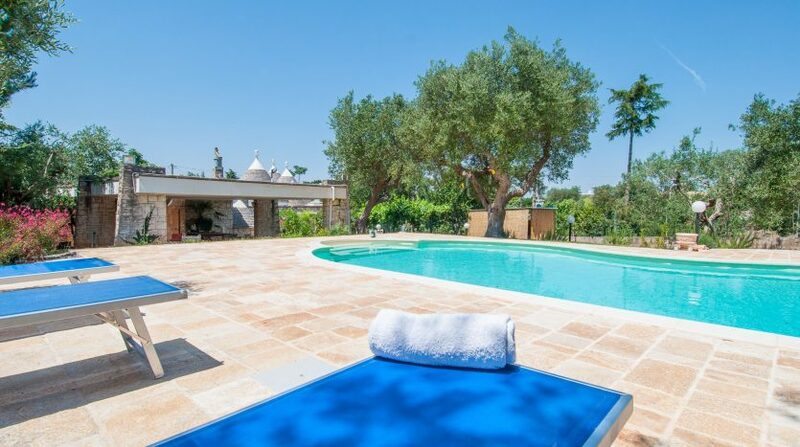 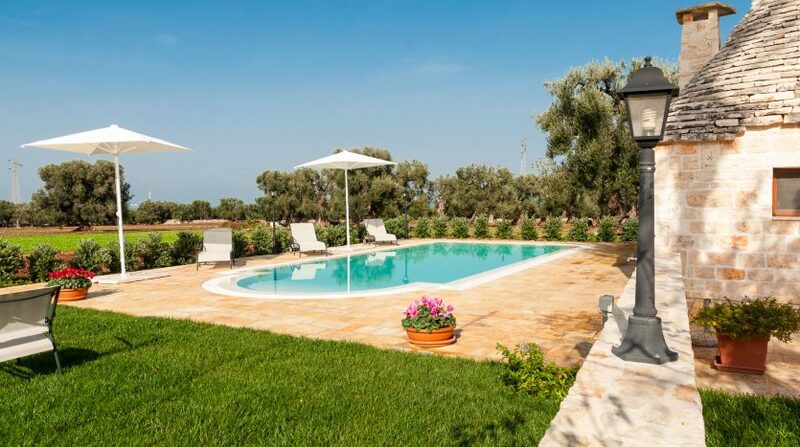 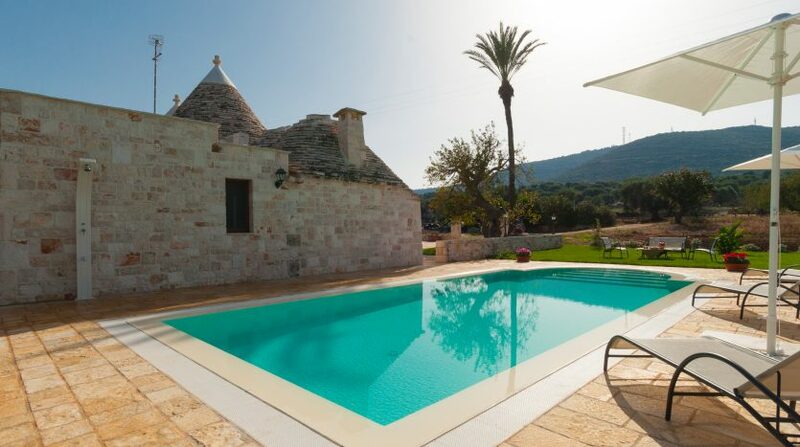 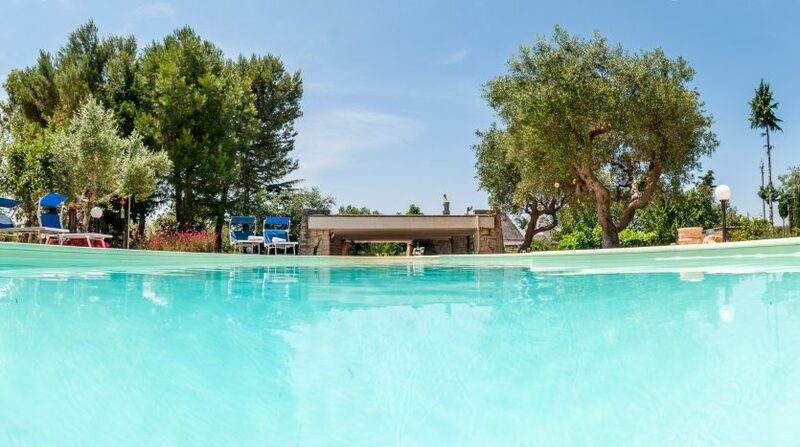 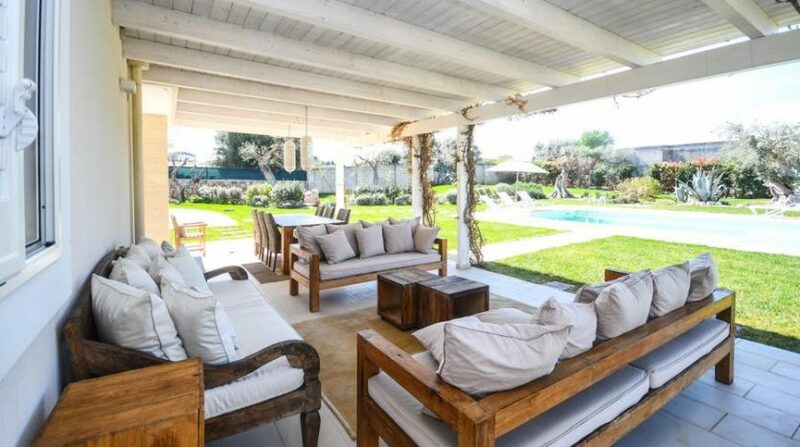 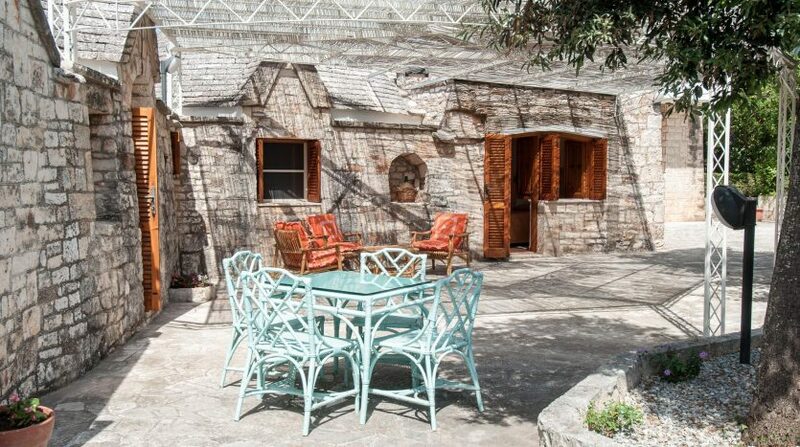 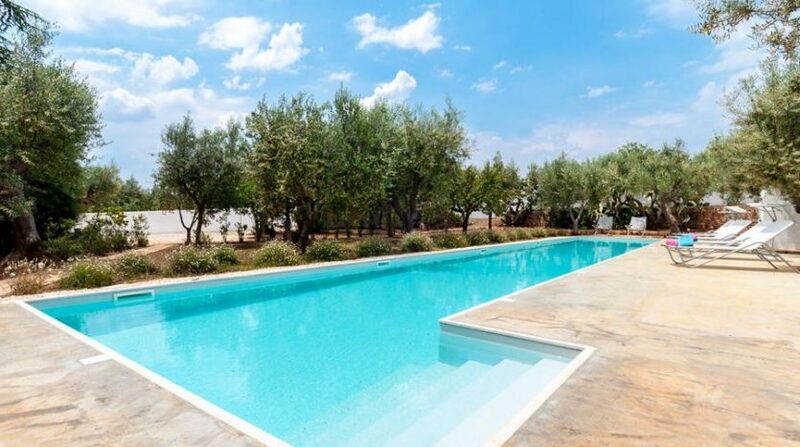 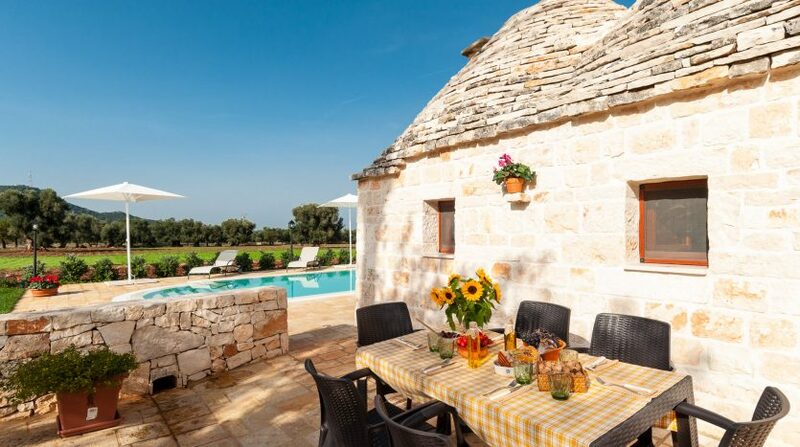 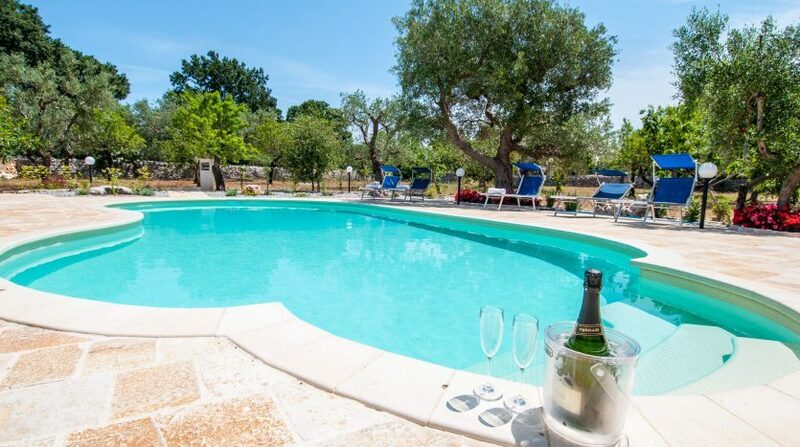 Situated among the gentle hills, this beautiful trulli with pool is the ideal holiday home for families with children. 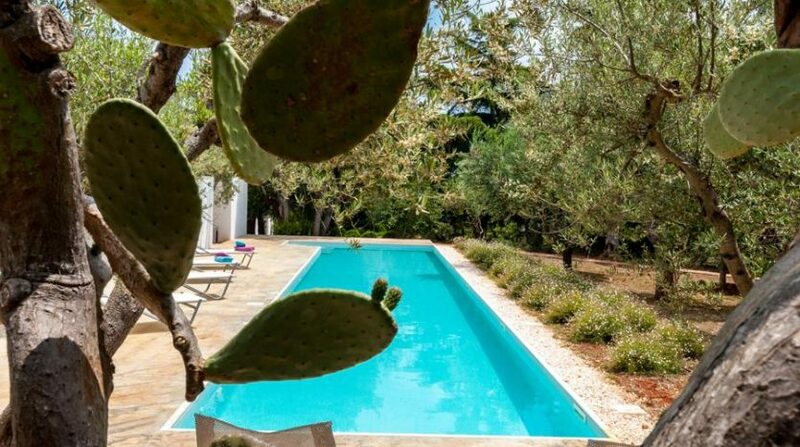 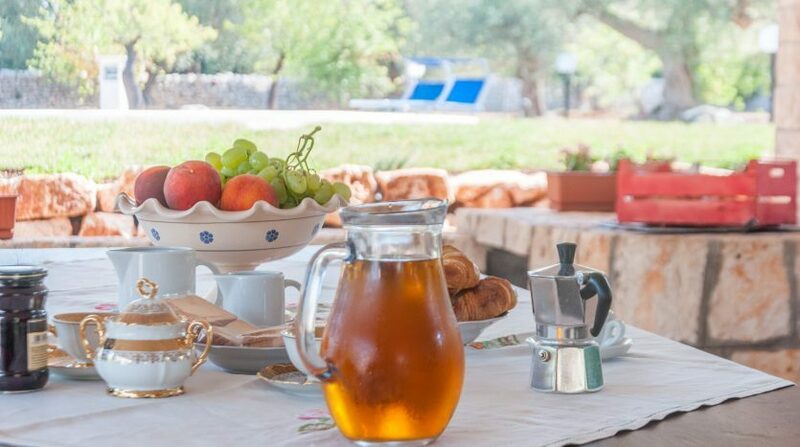 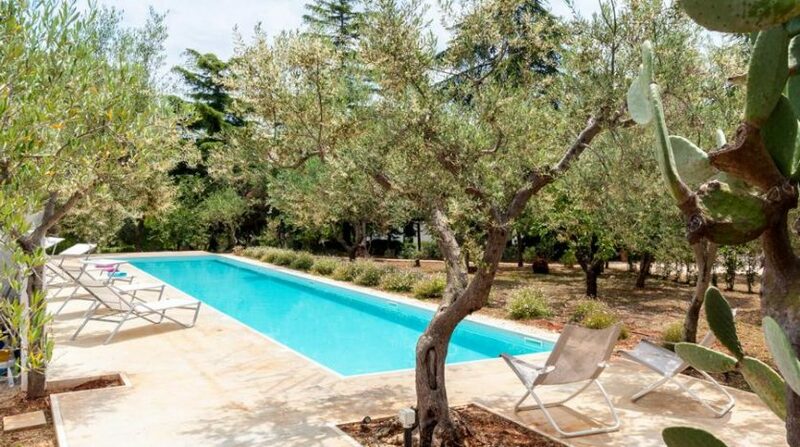 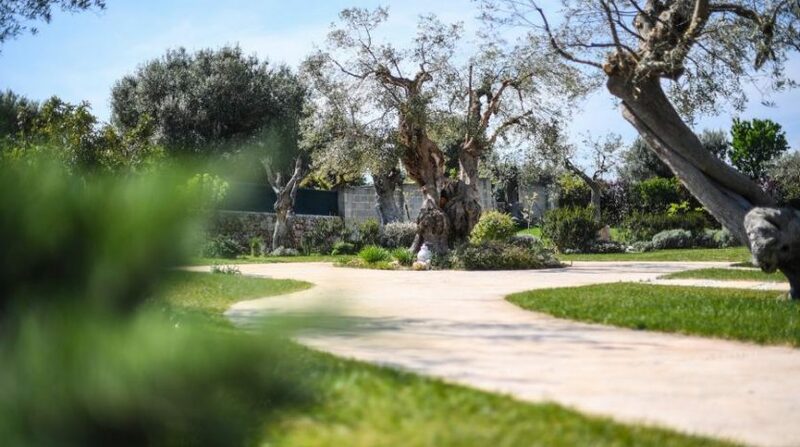 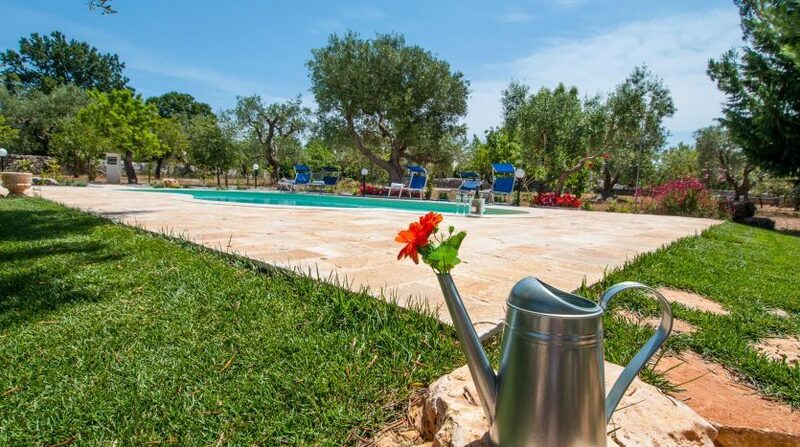 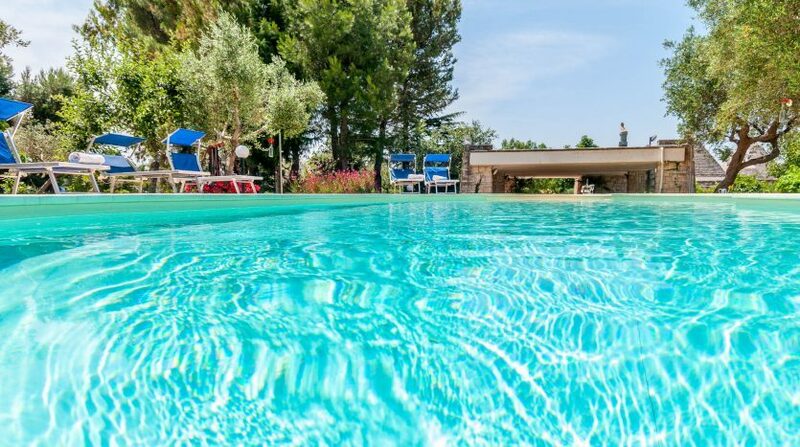 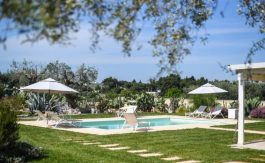 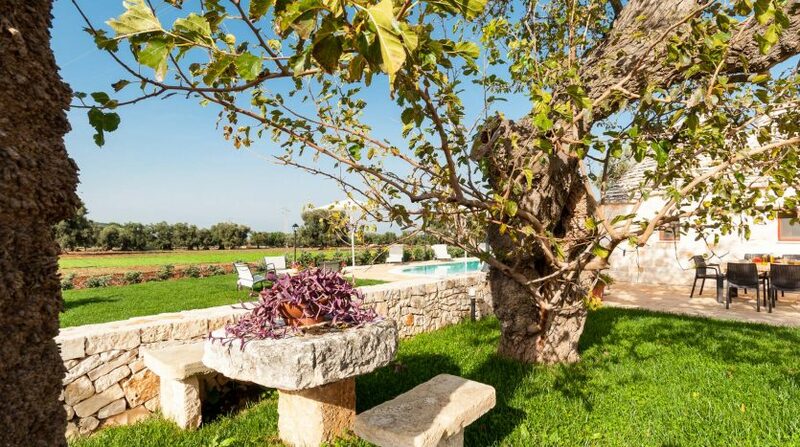 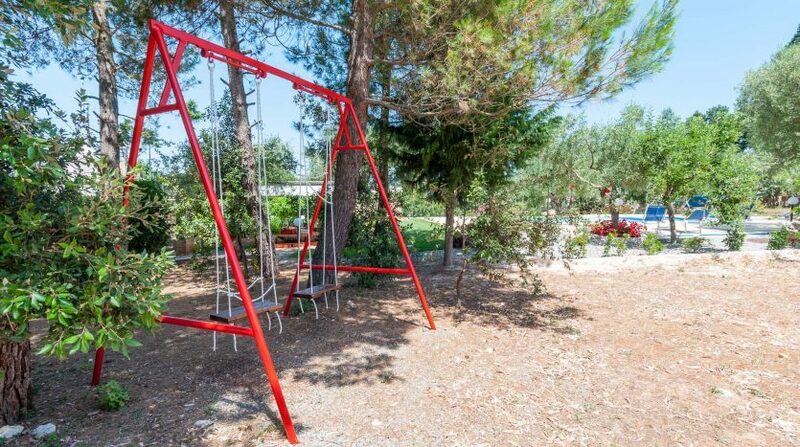 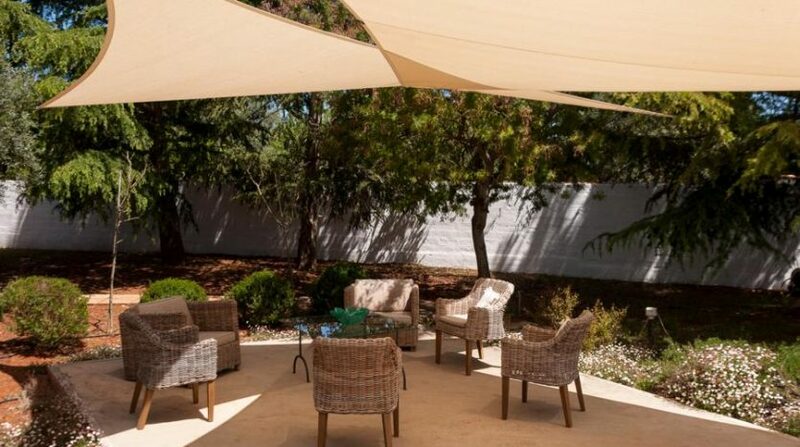 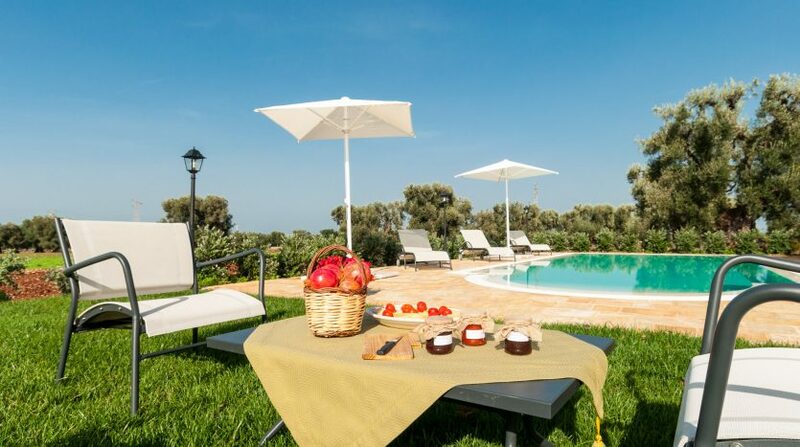 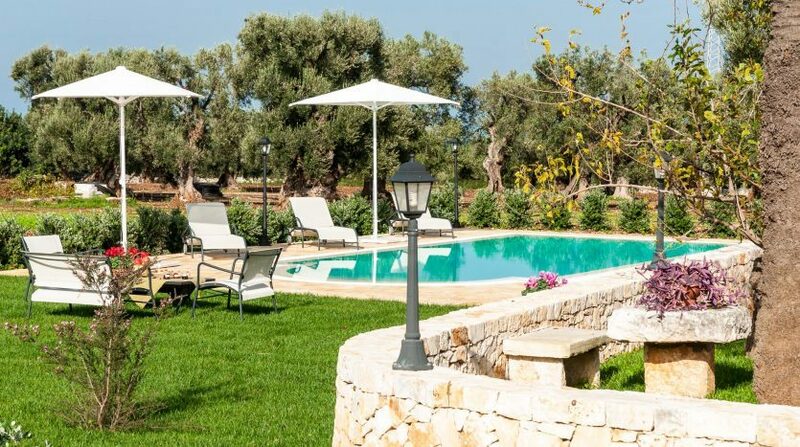 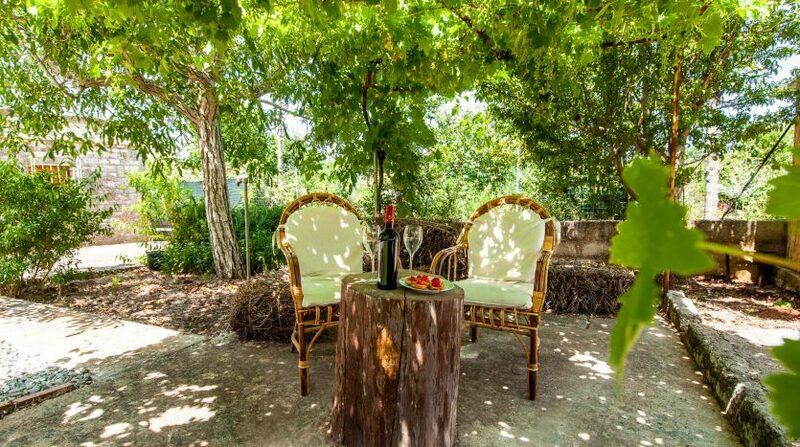 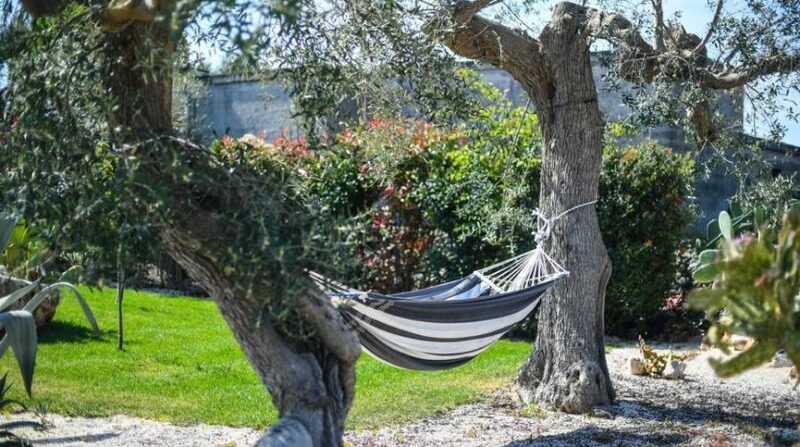 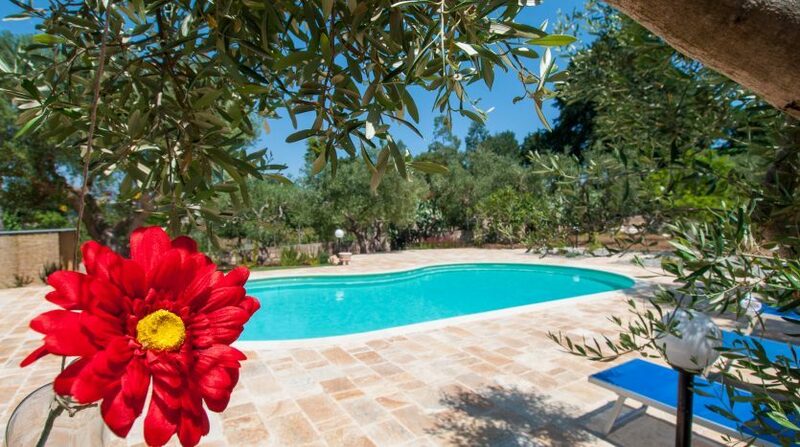 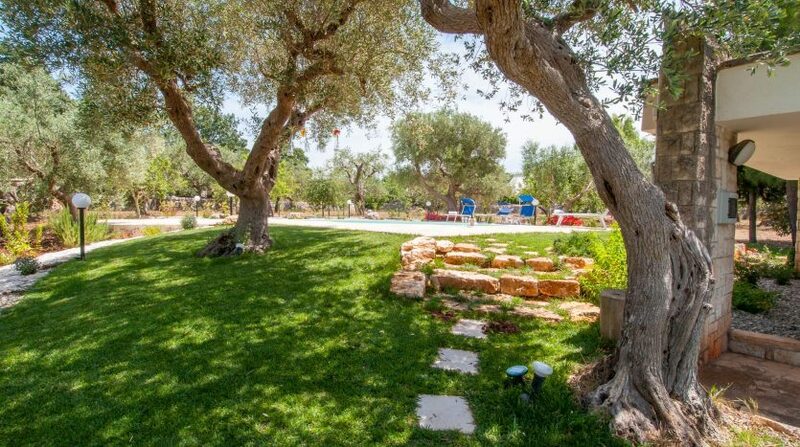 Enjoy a relaxing holiday with children in Apulia, located in a completely fenced plot, not far from the beaches of Apulia and the nearest services. 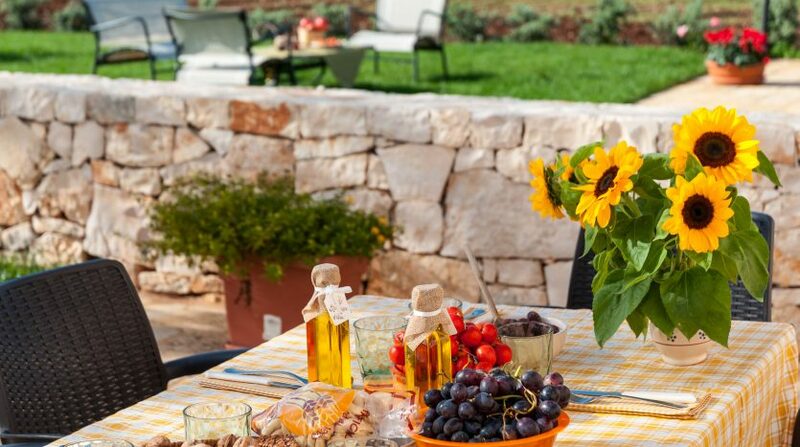 The owners are olive producers who have been producing cold-pressed olive oil and a selection of fruits and vegetables for generations. 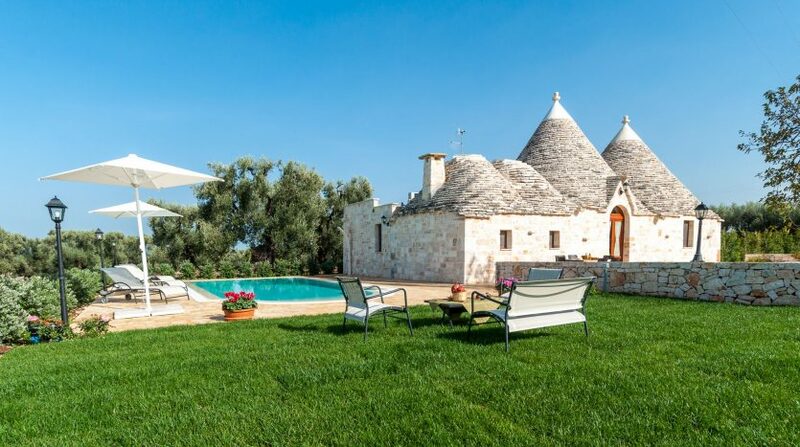 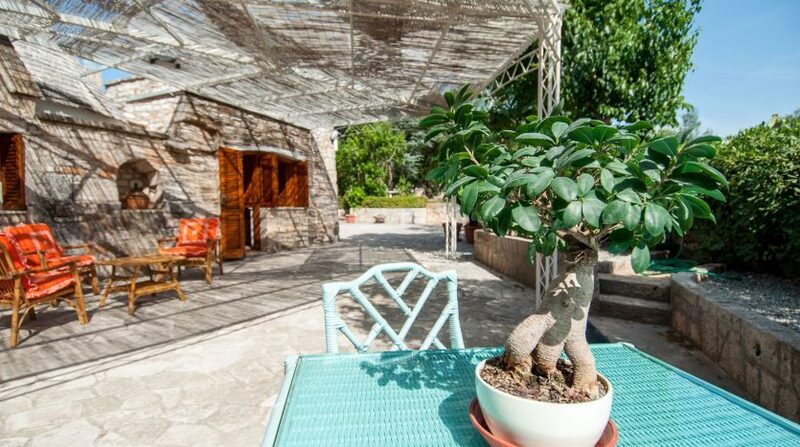 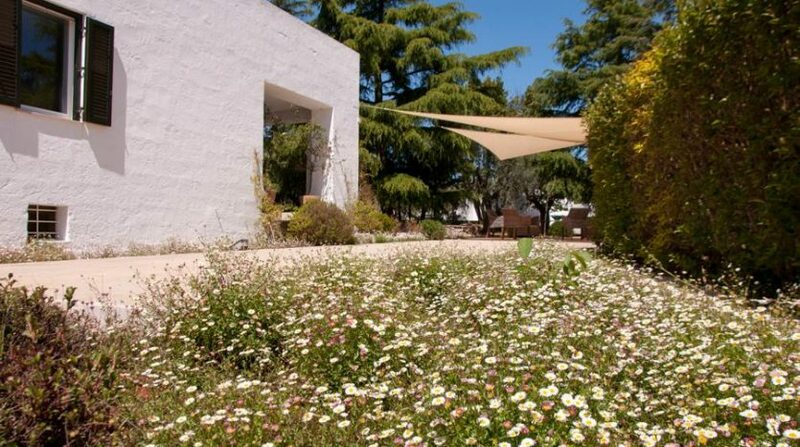 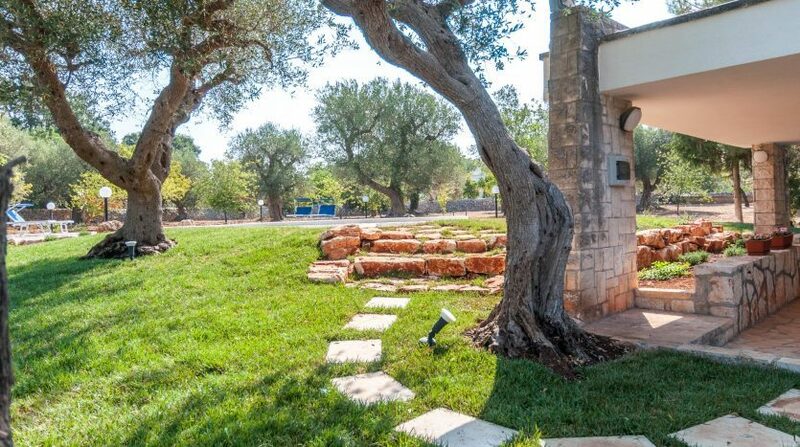 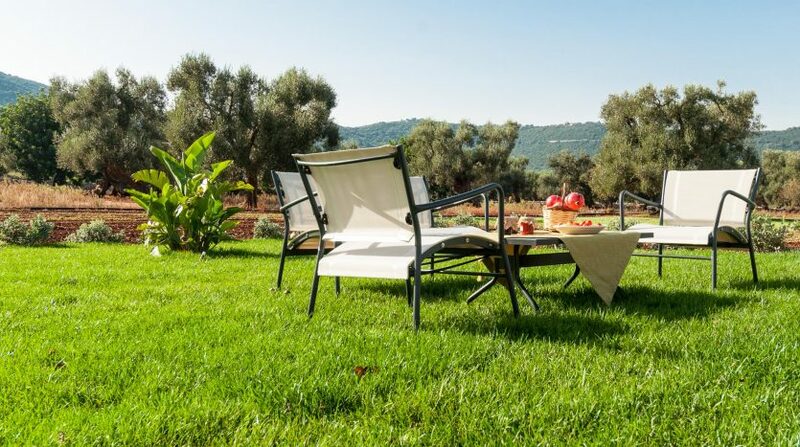 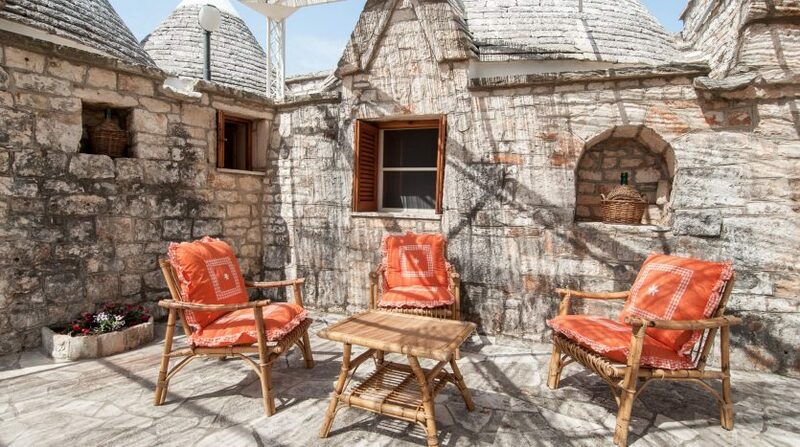 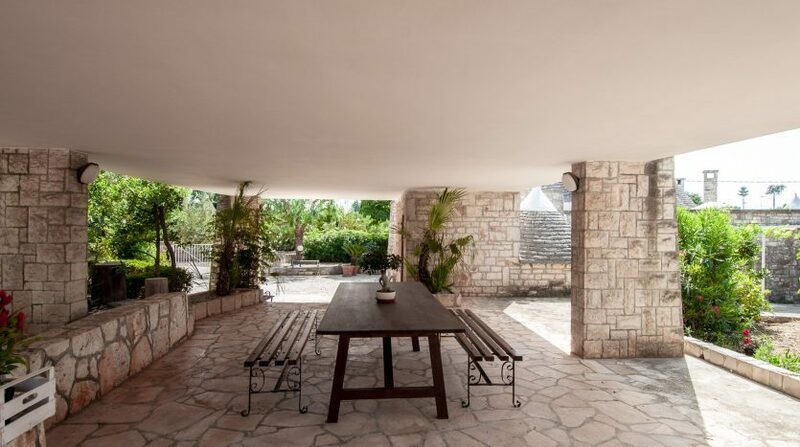 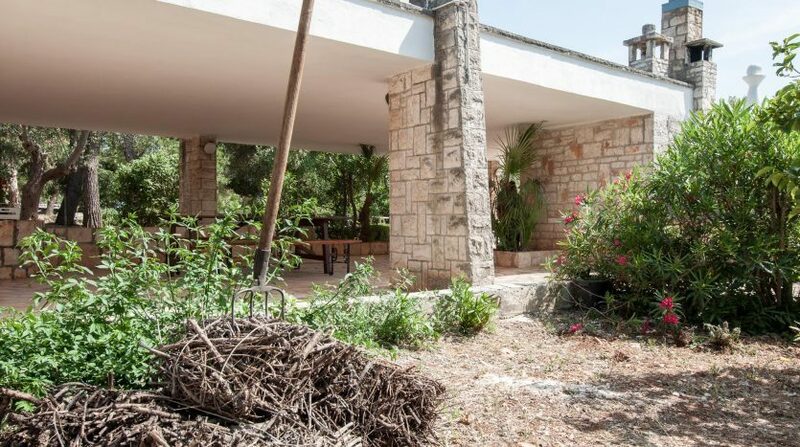 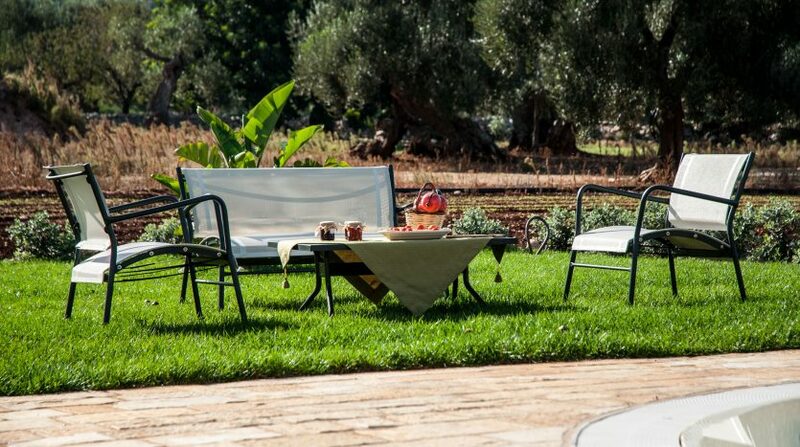 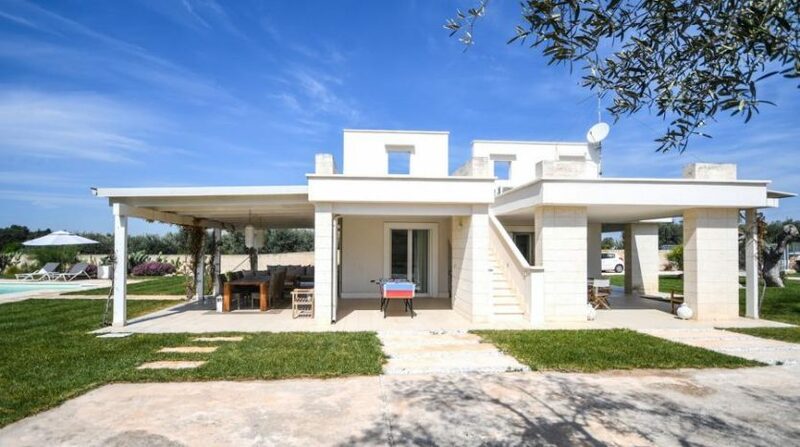 The Trulli Francisto offers a large plot with a lawn. 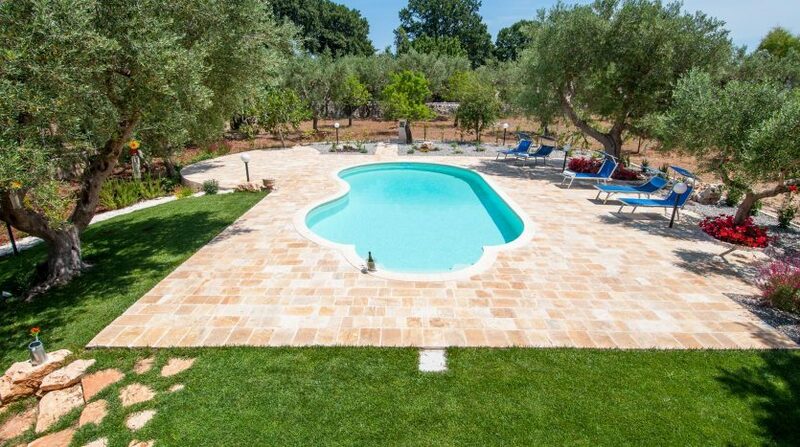 In the middle of it is a beautiful 5 m x 10 m swimming pool with sunbathing area, seating, and a refreshing shower with hot and cold water, as well as hydromassage. 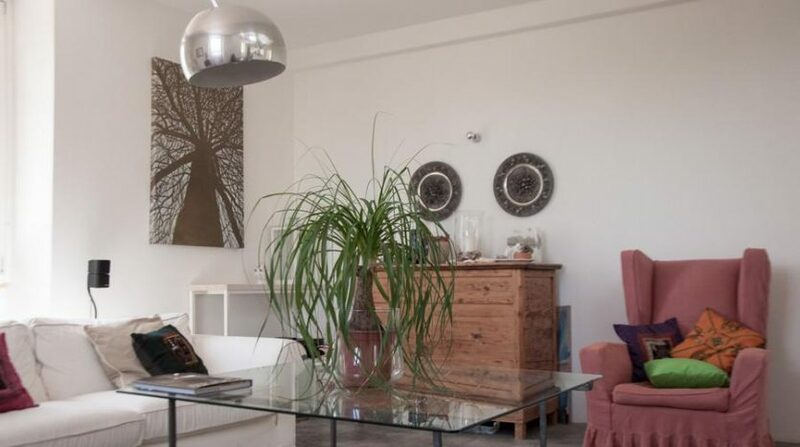 The interior has a charming living room with TV, dining area and sofa. 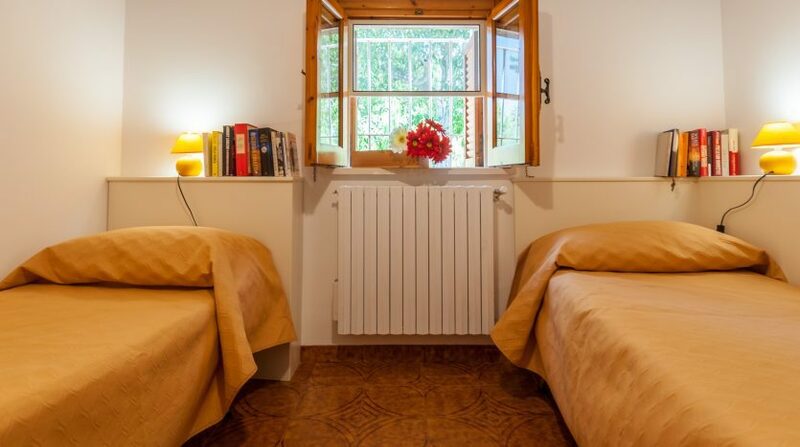 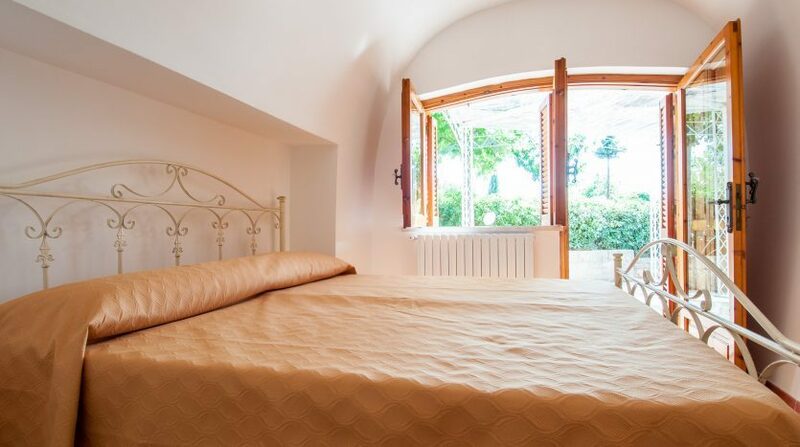 To the right is a bright and welcoming bedroom with double bed. 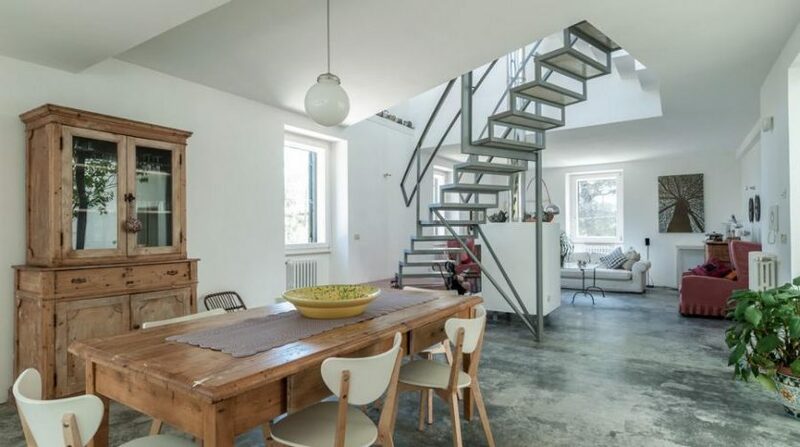 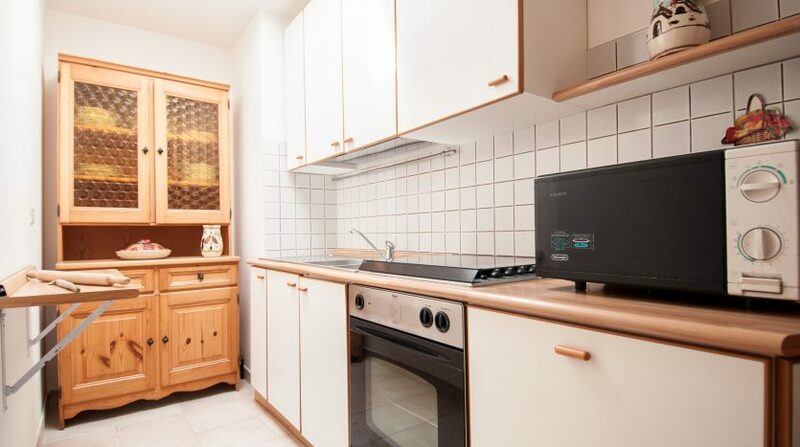 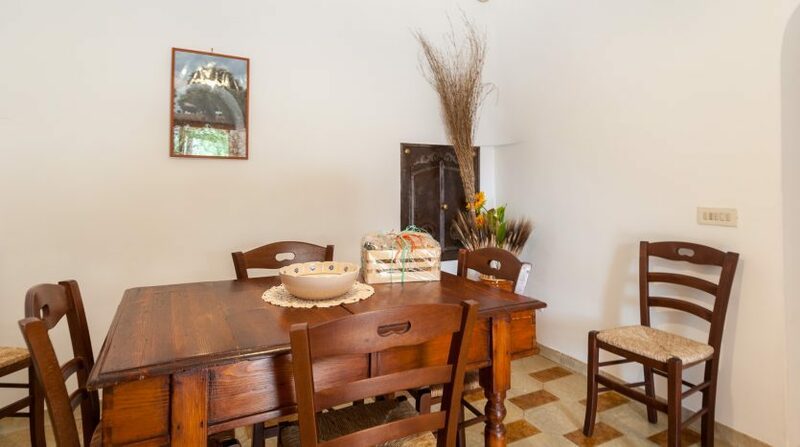 To the left is a well equipped kitchen and a dining table. 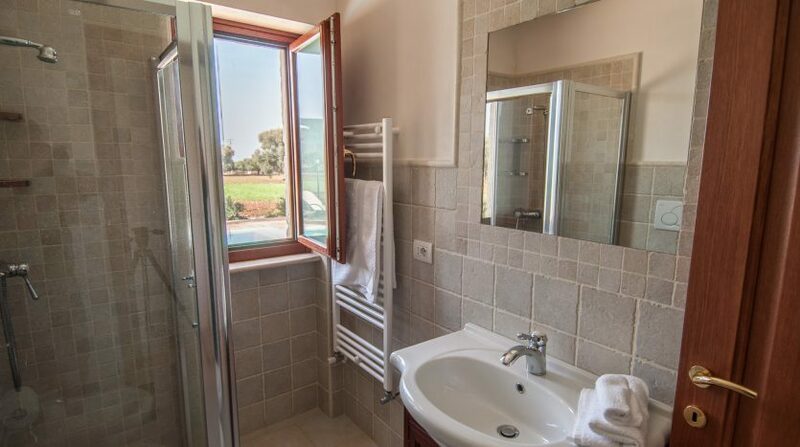 Beyond the kitchen is a comfortable bathroom with shower and washing machine and a second bedroom with two single beds and views of the surrounding countryside. 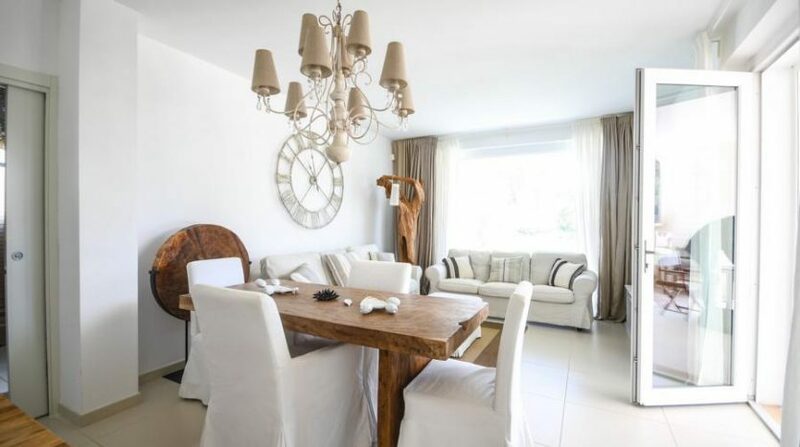 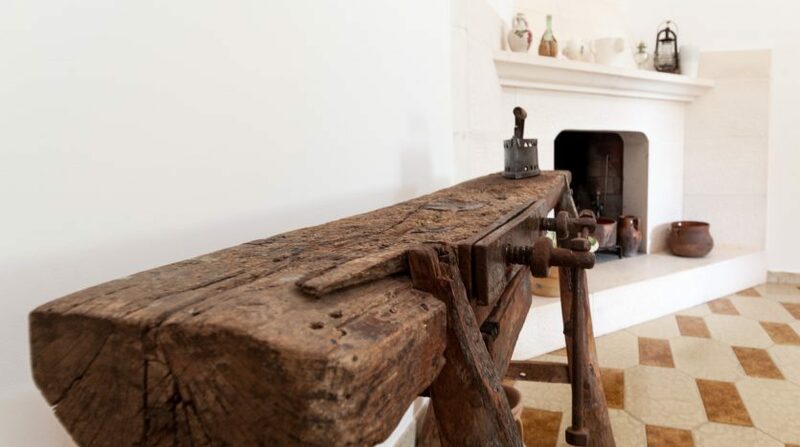 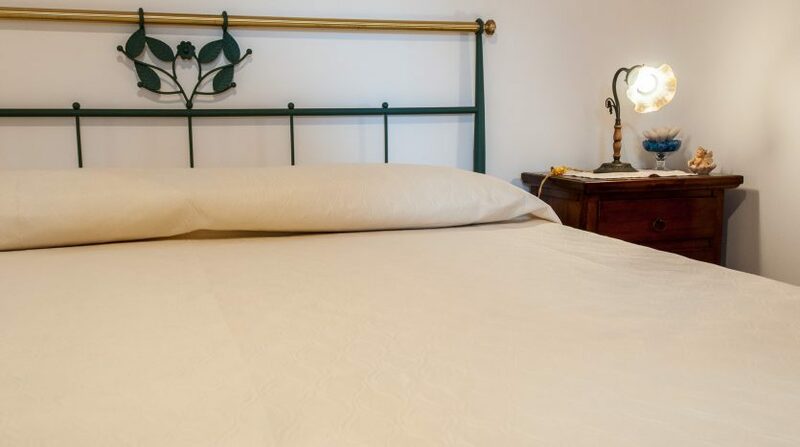 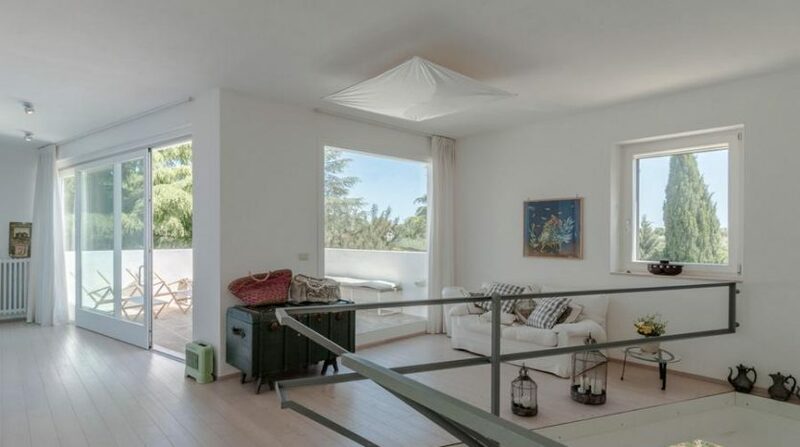 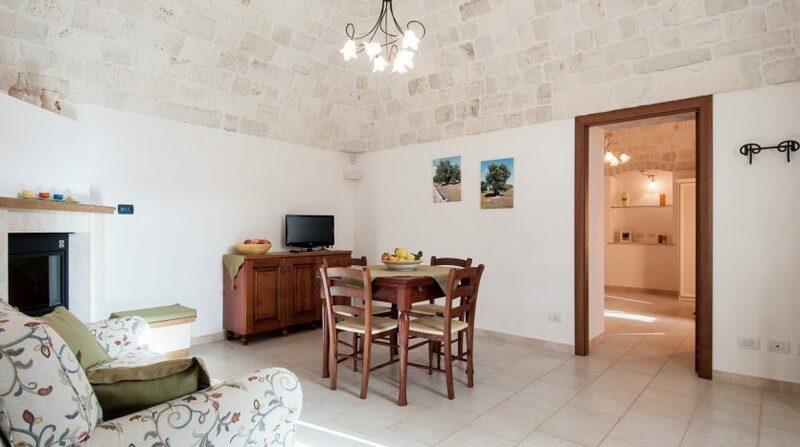 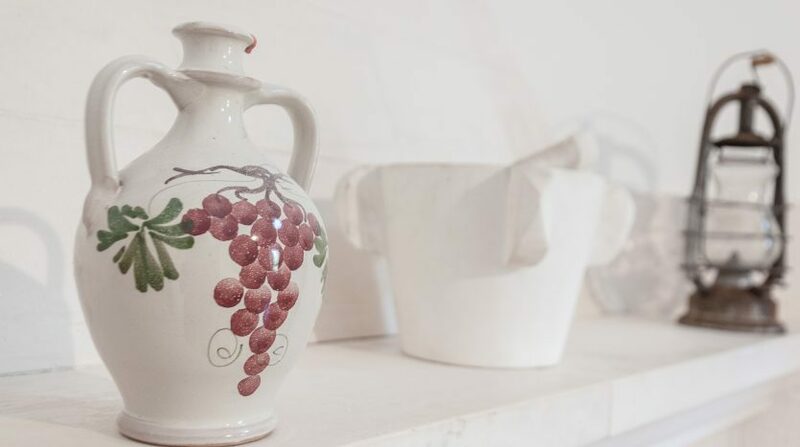 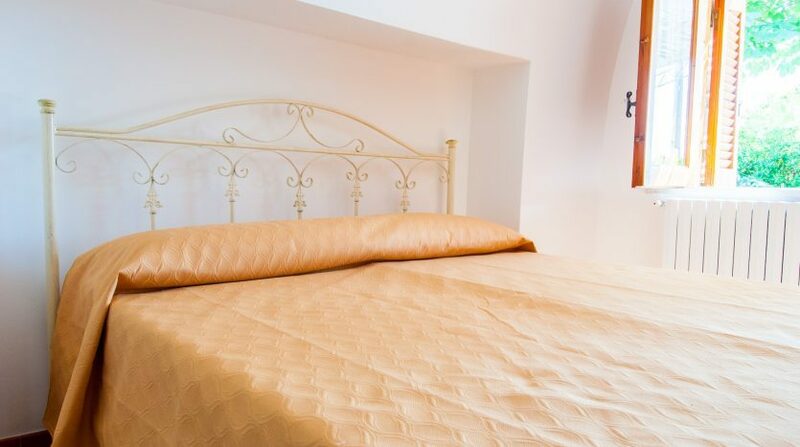 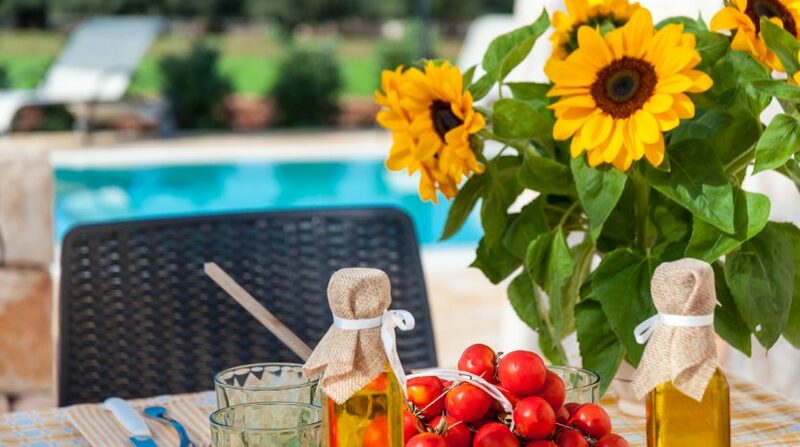 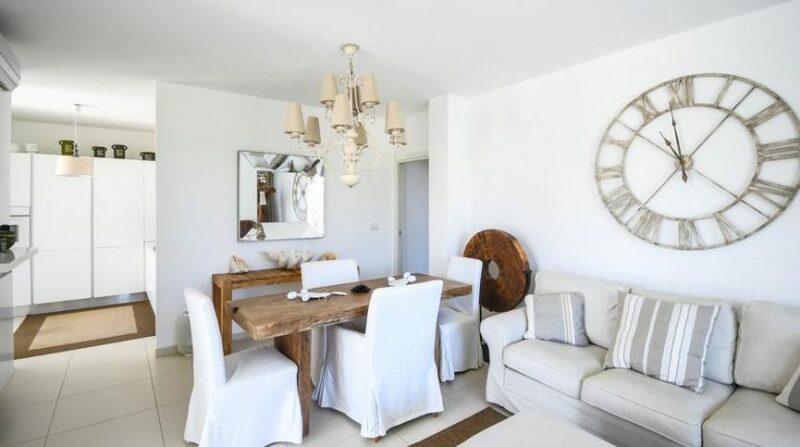 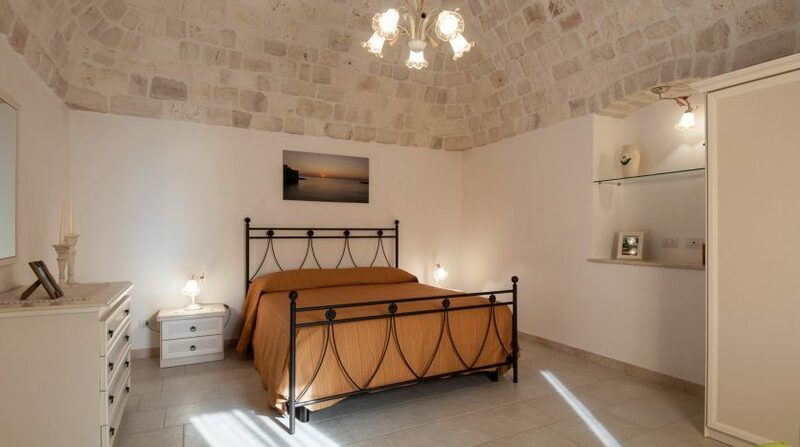 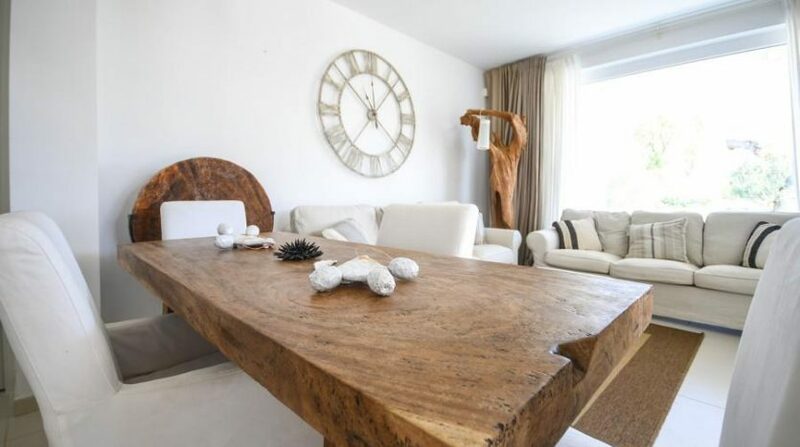 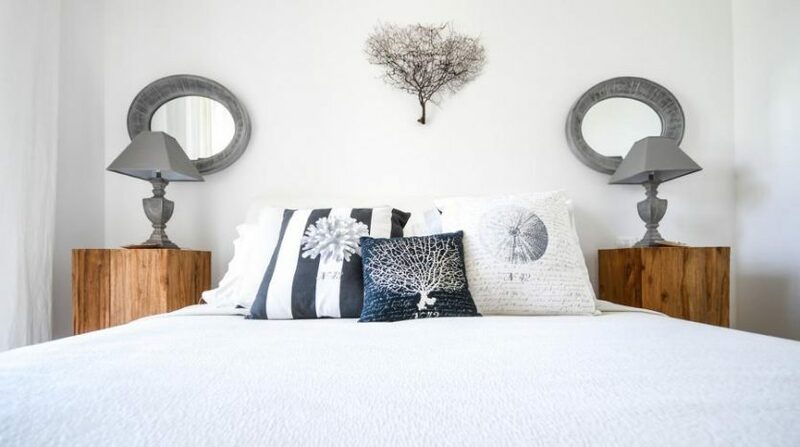 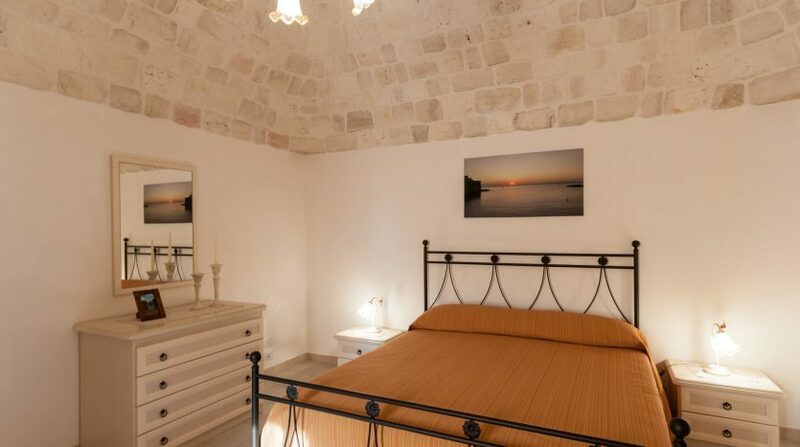 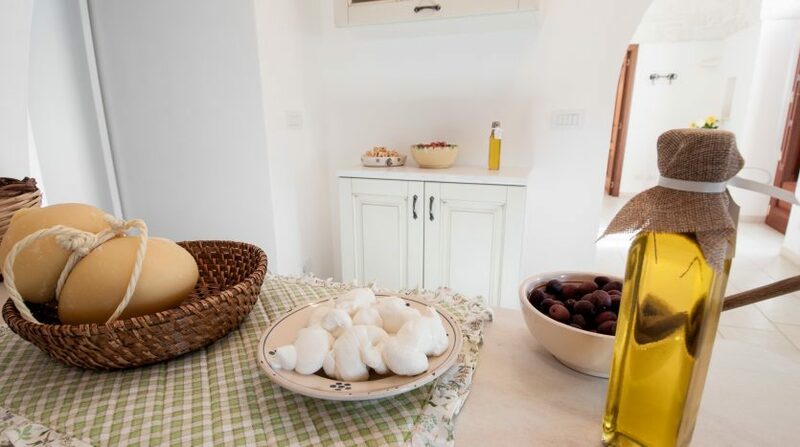 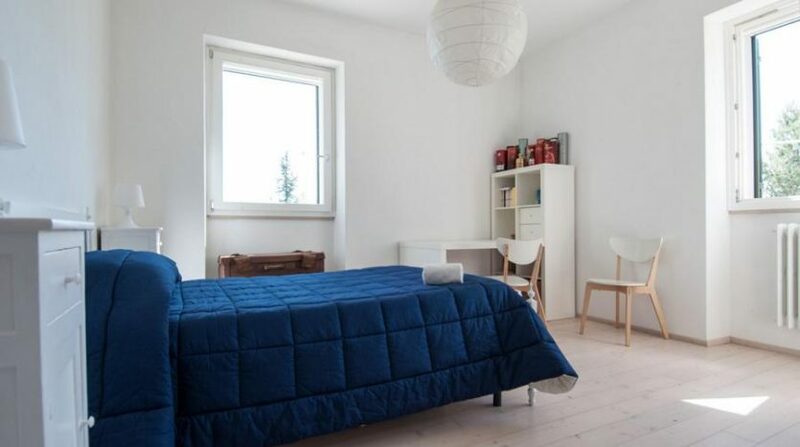 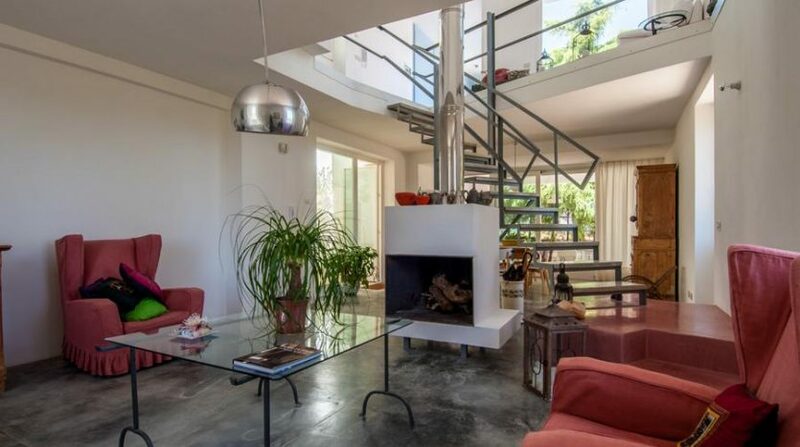 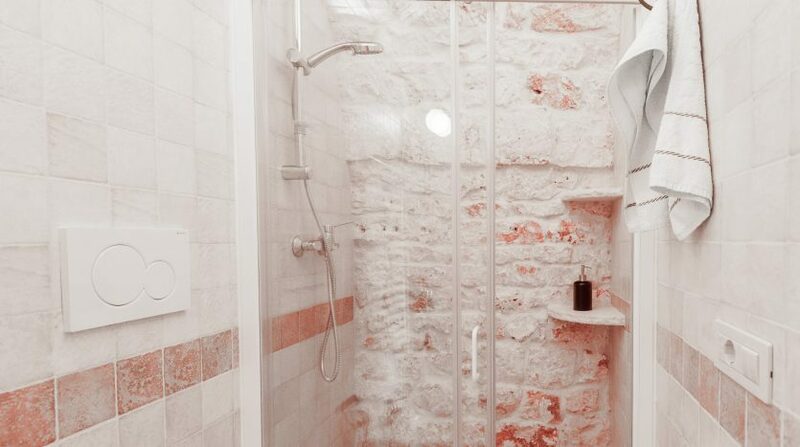 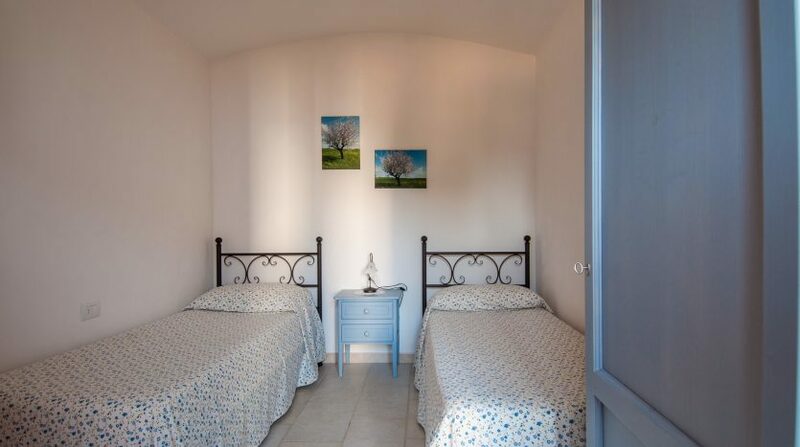 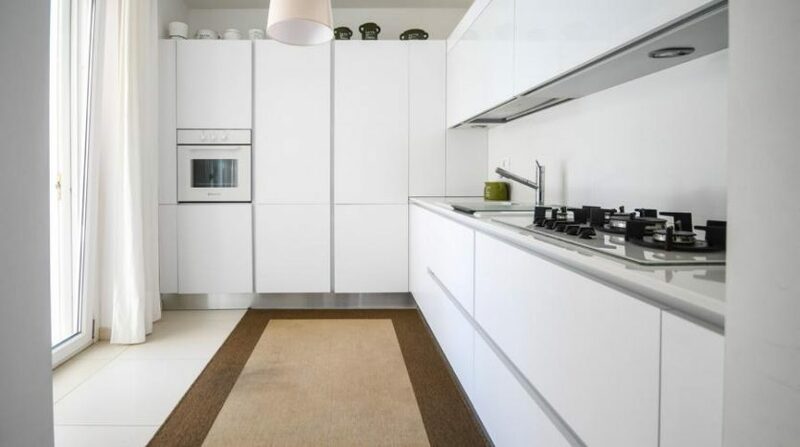 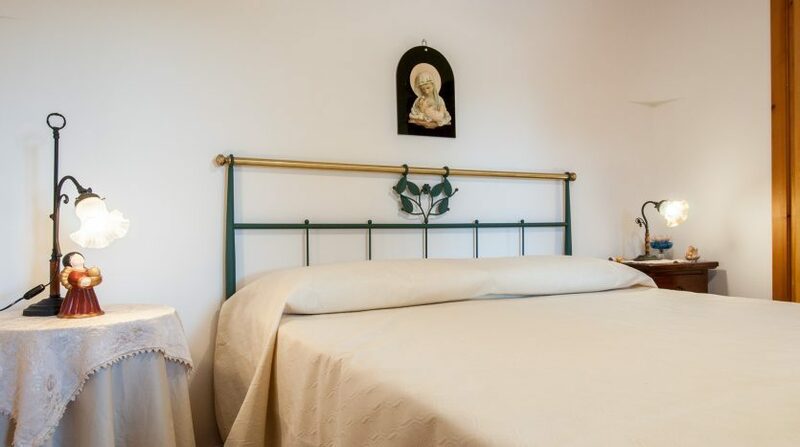 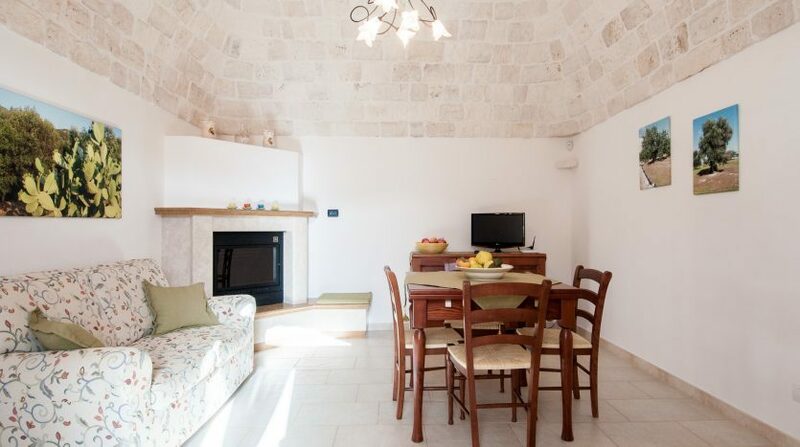 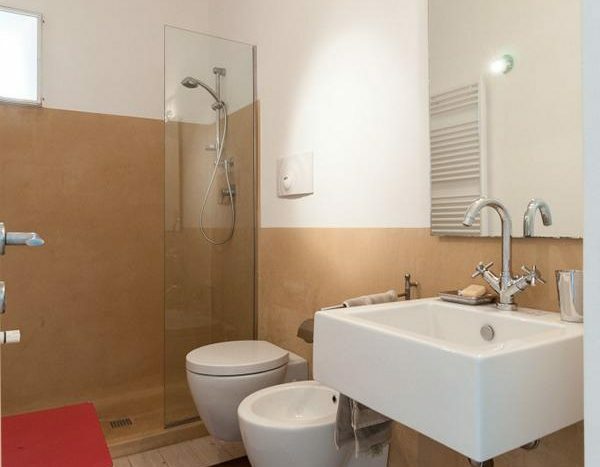 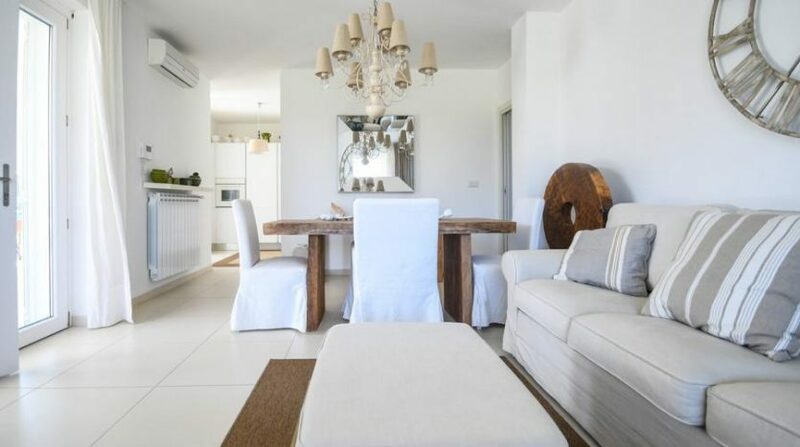 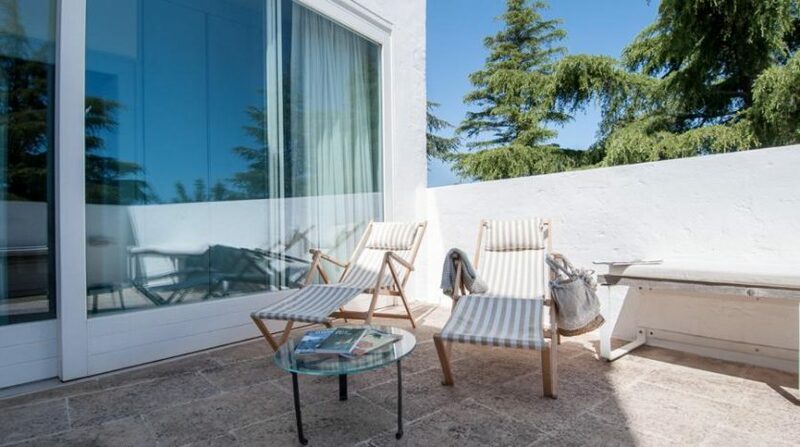 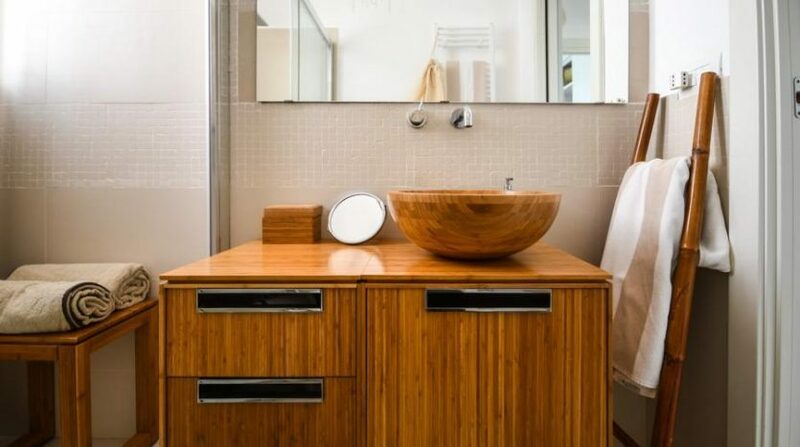 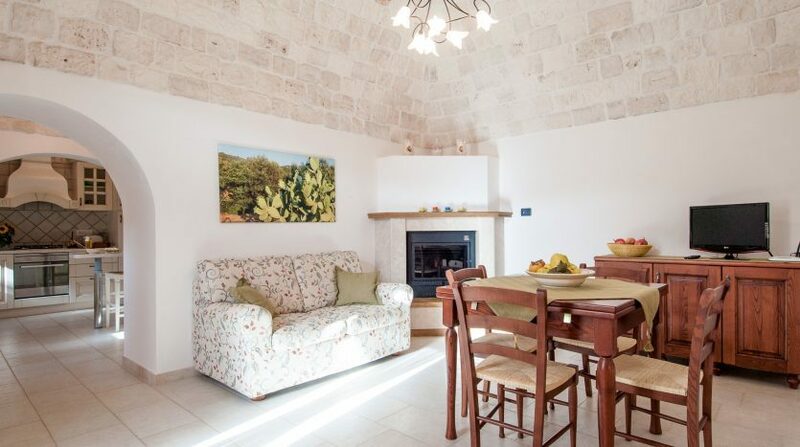 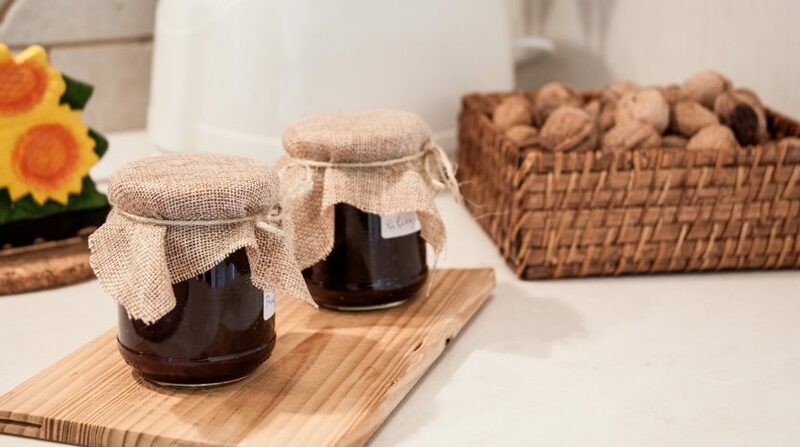 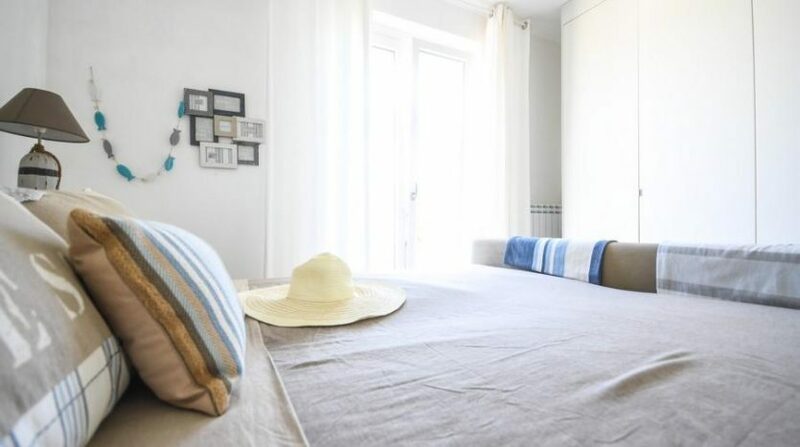 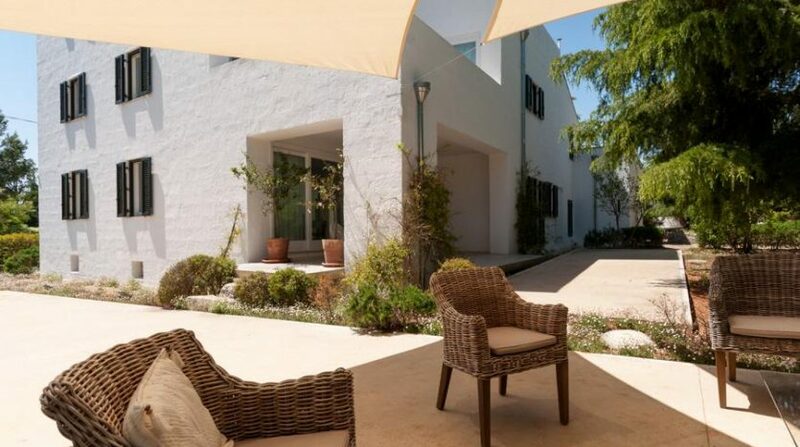 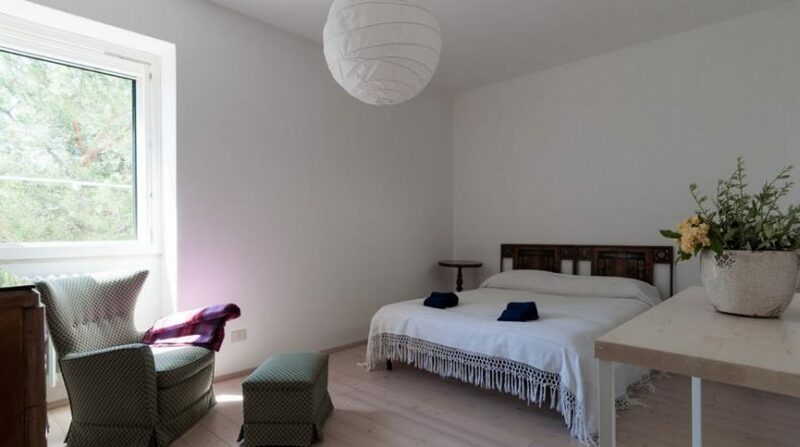 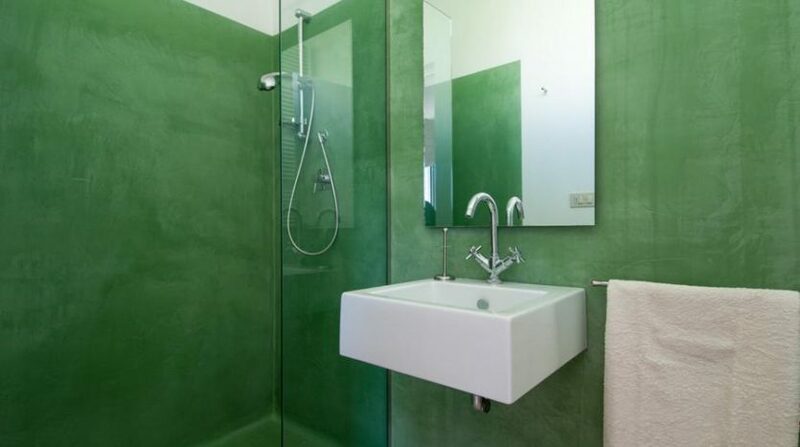 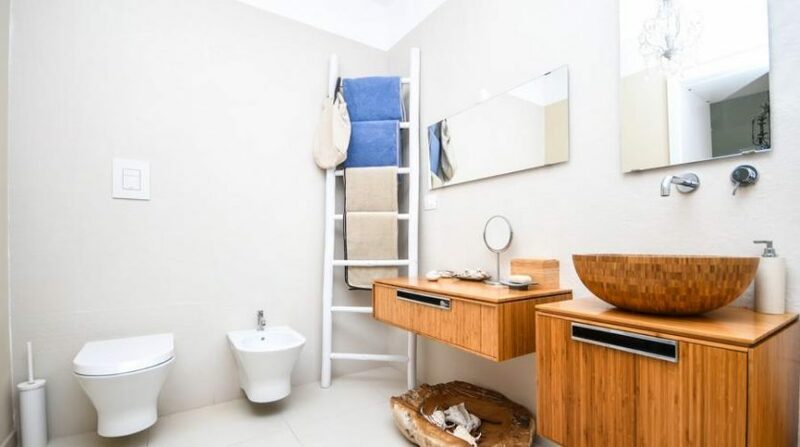 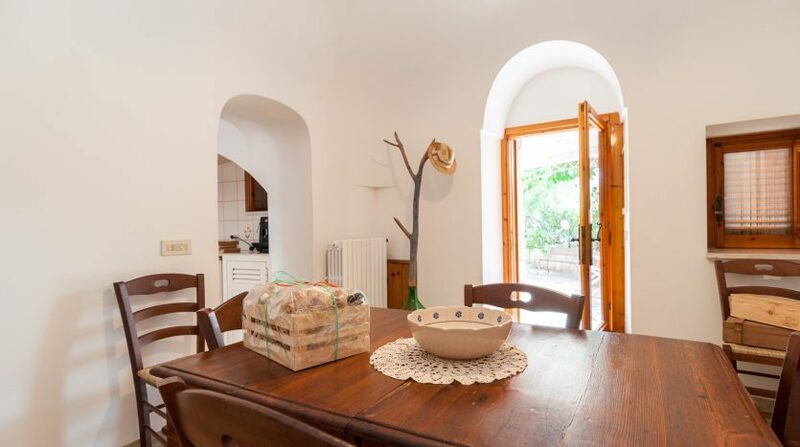 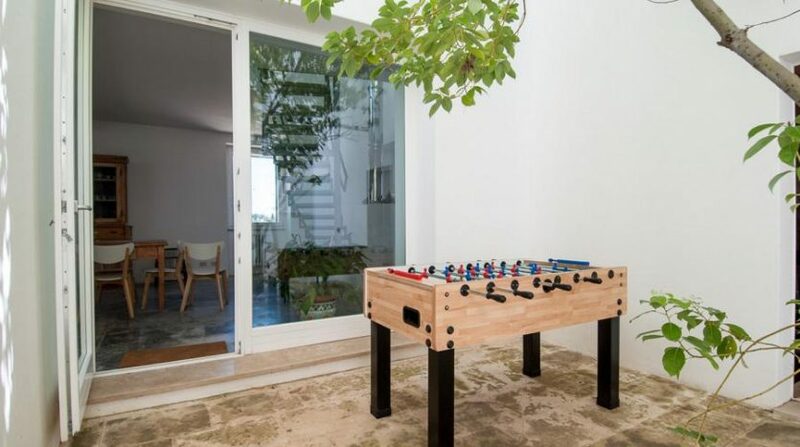 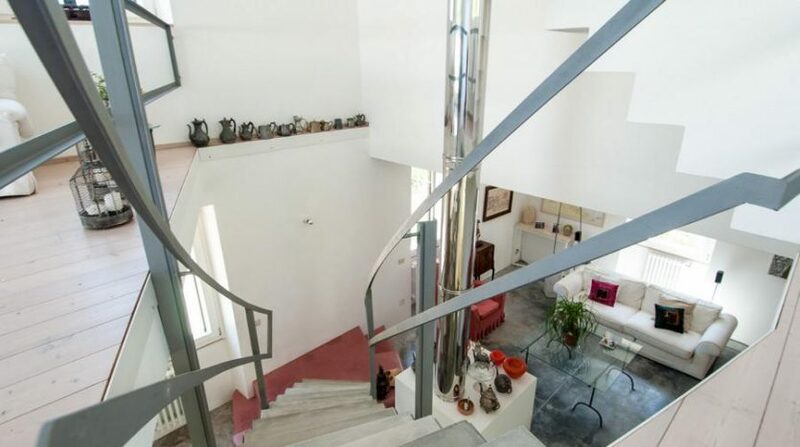 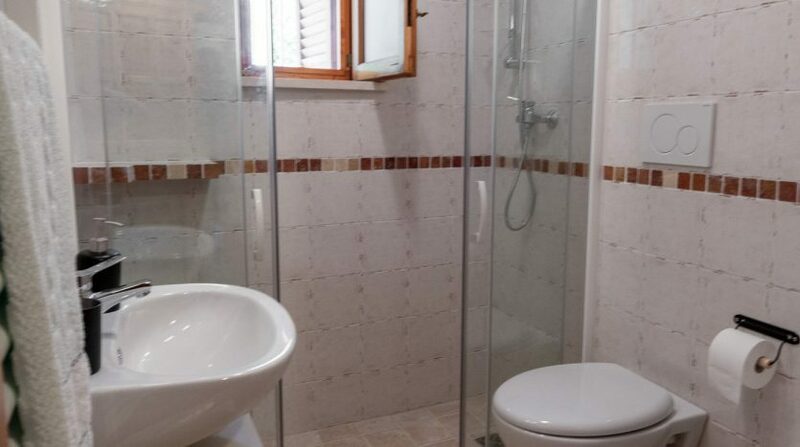 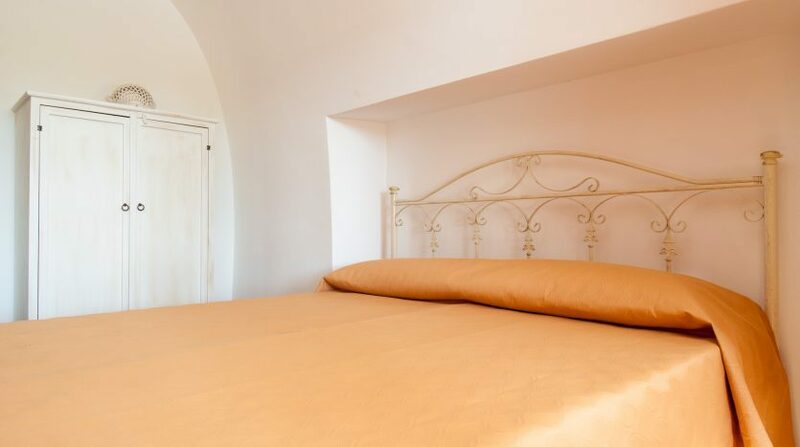 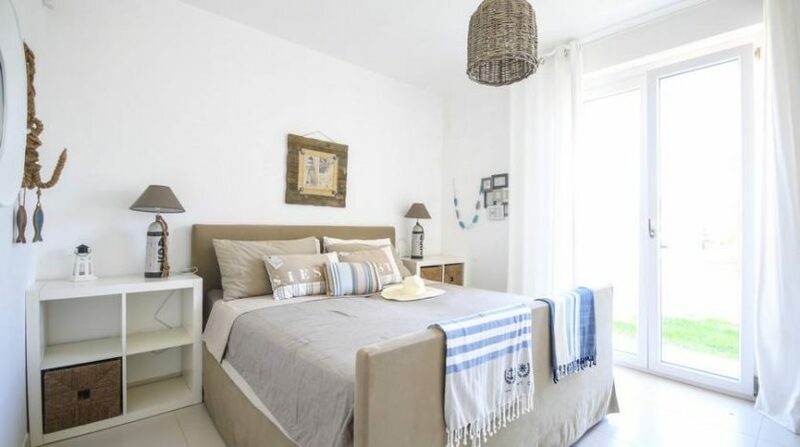 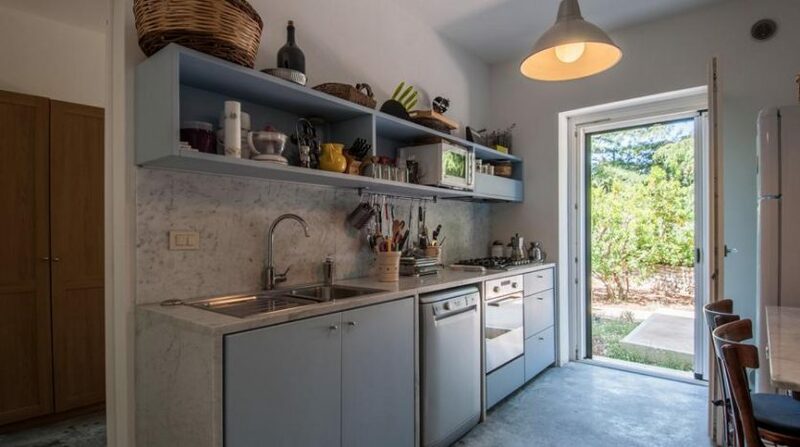 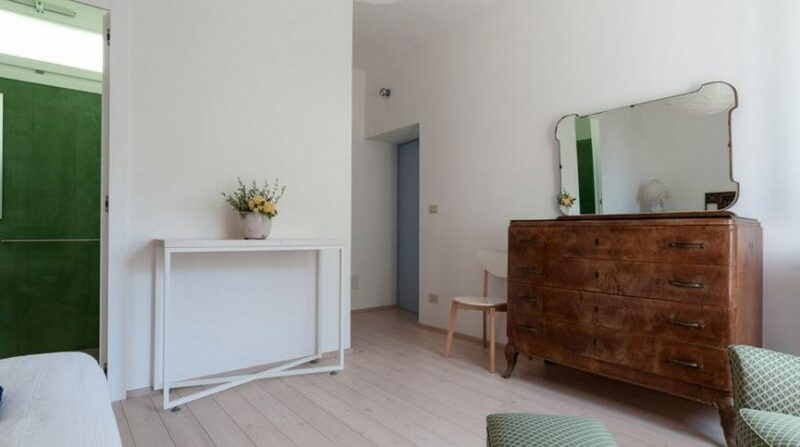 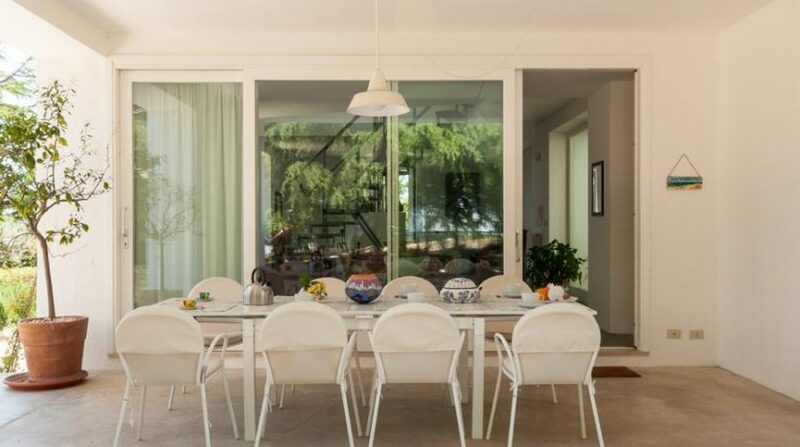 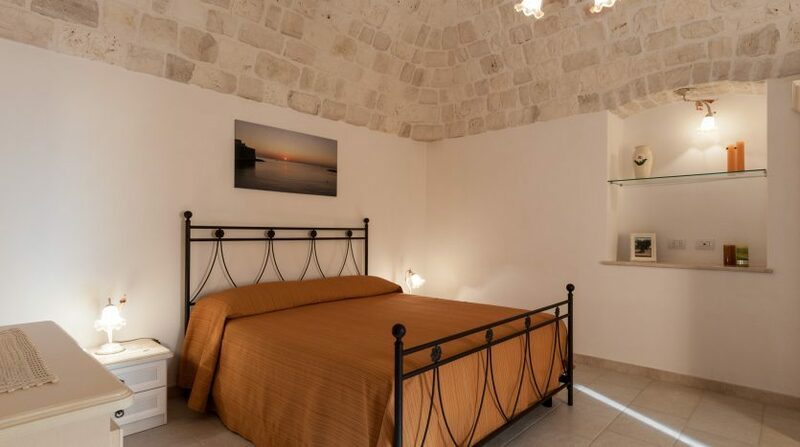 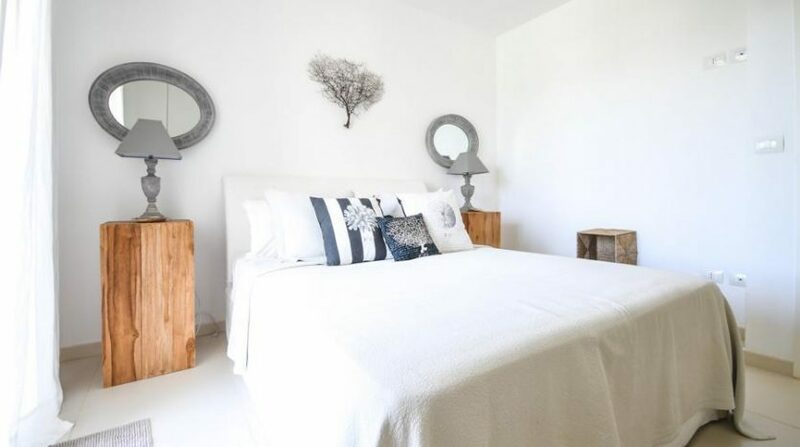 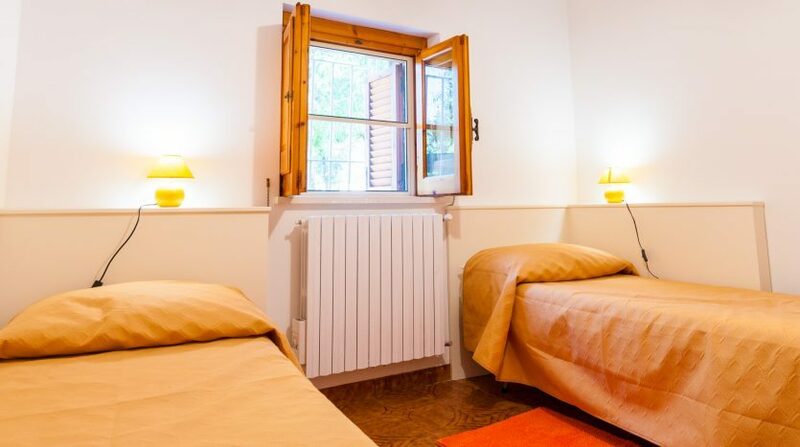 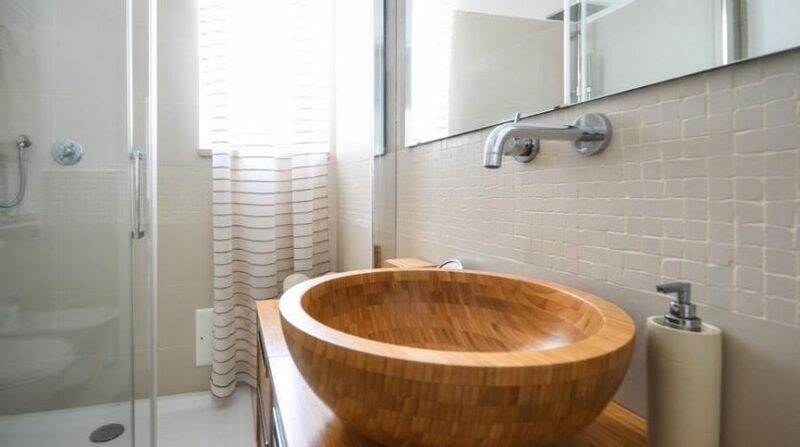 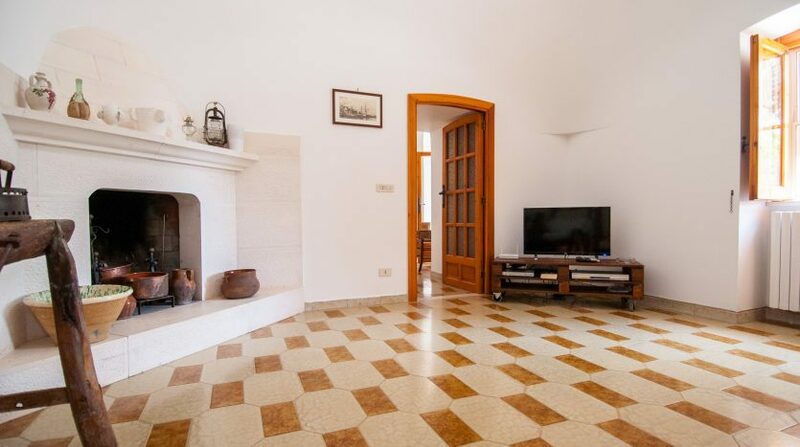 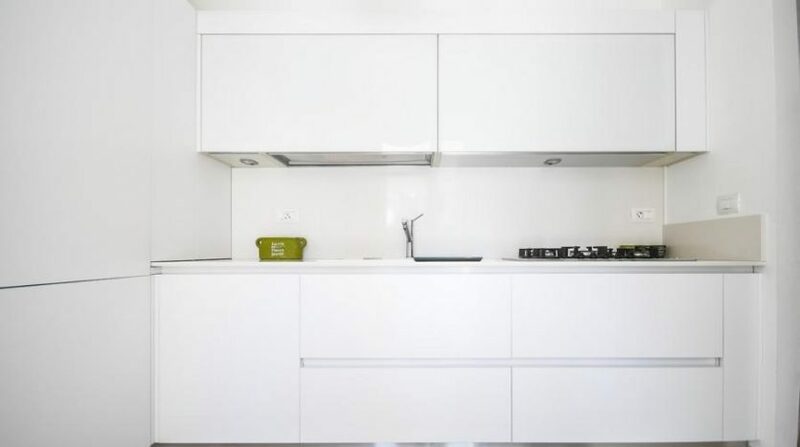 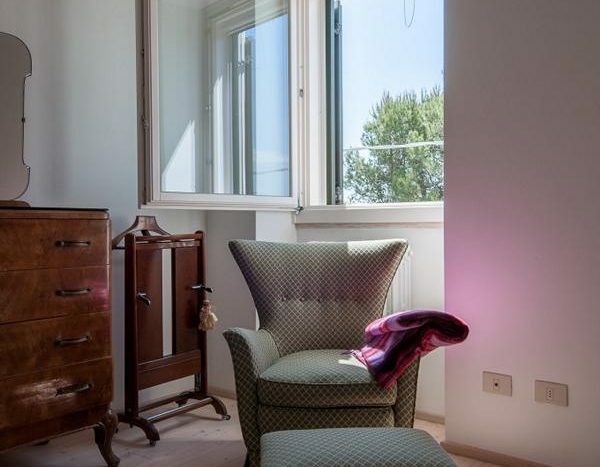 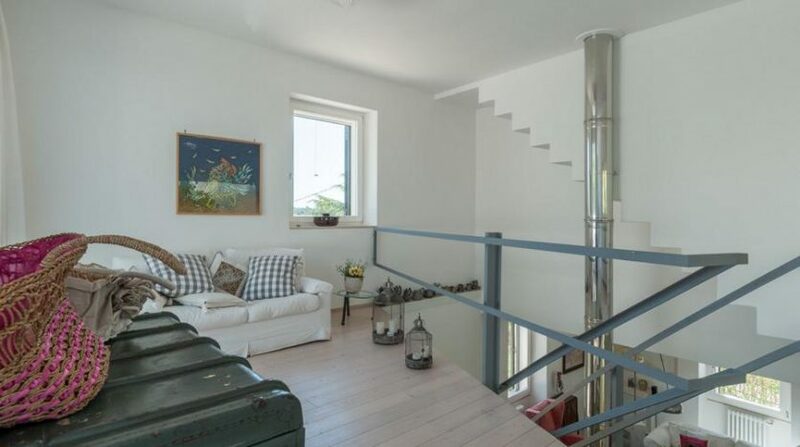 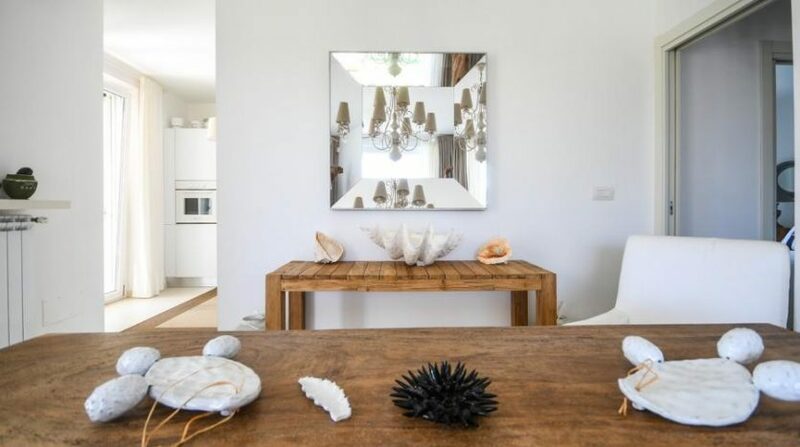 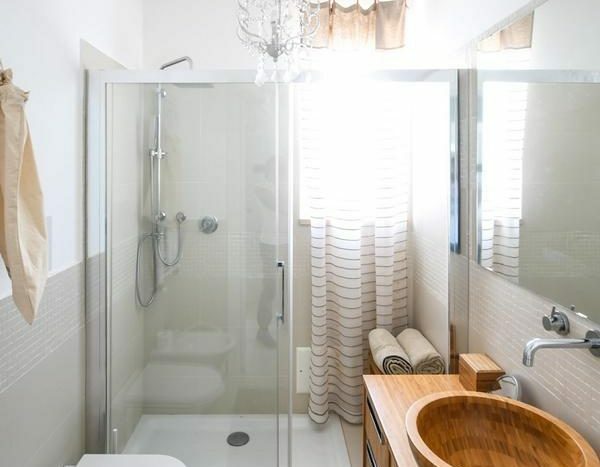 Amenities such as a well-functioning WiFi Internet connection and air-conditioning are in all the rooms, although the latter is not normally necessary given the architectural features which make this holiday apartment the ideal place for your holiday in Apulia.